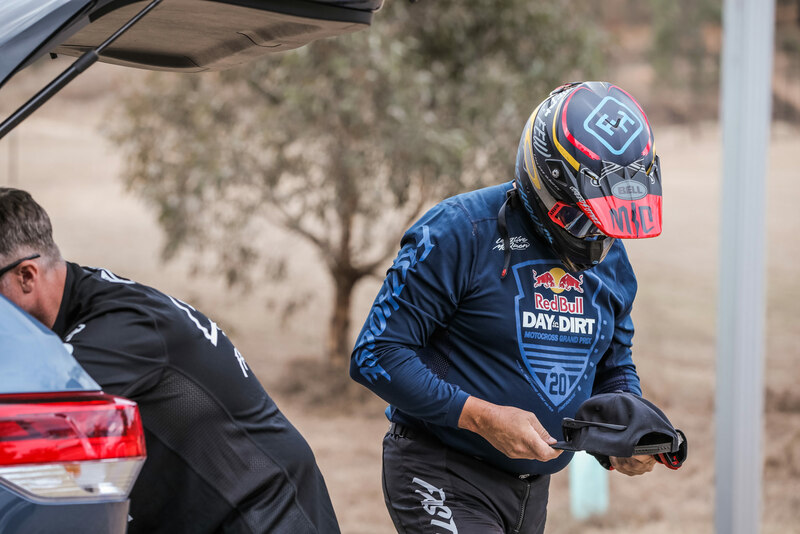 After 20 years in the U.S., Day In The Dirt got to take a trip Down Under. 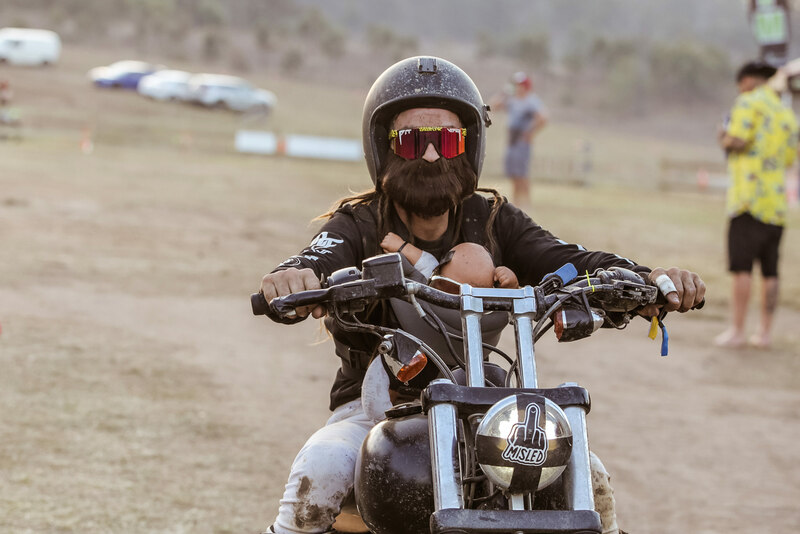 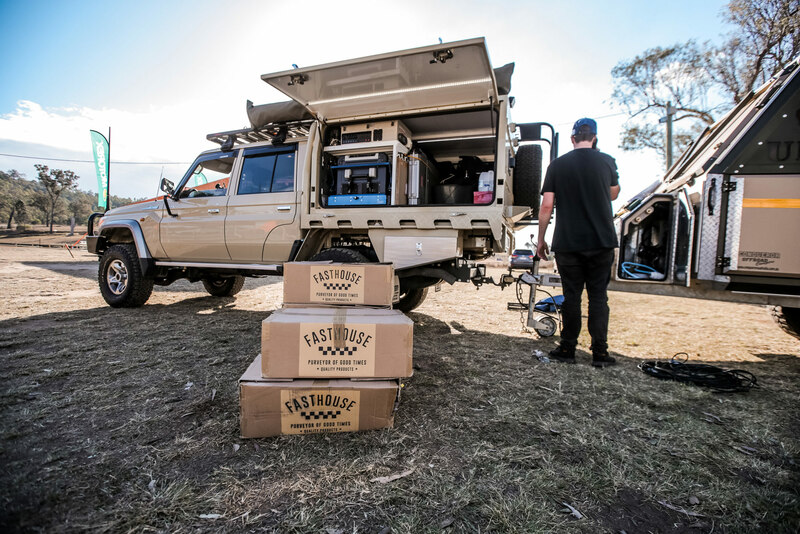 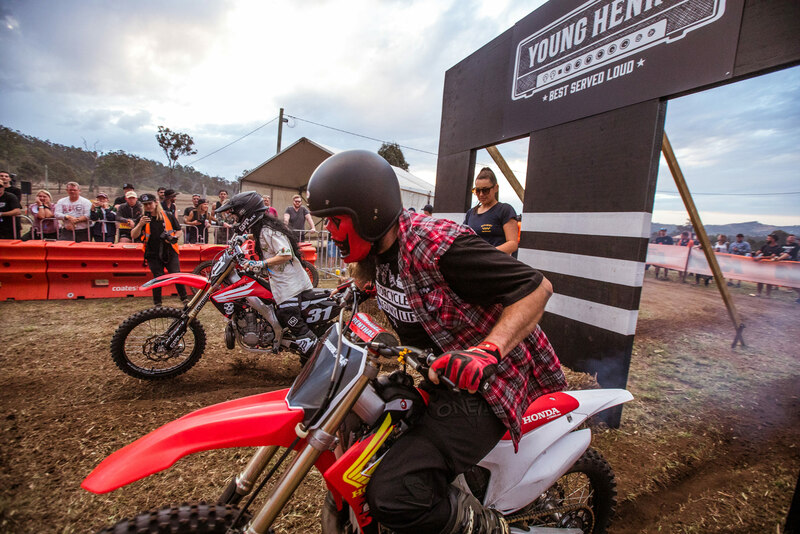 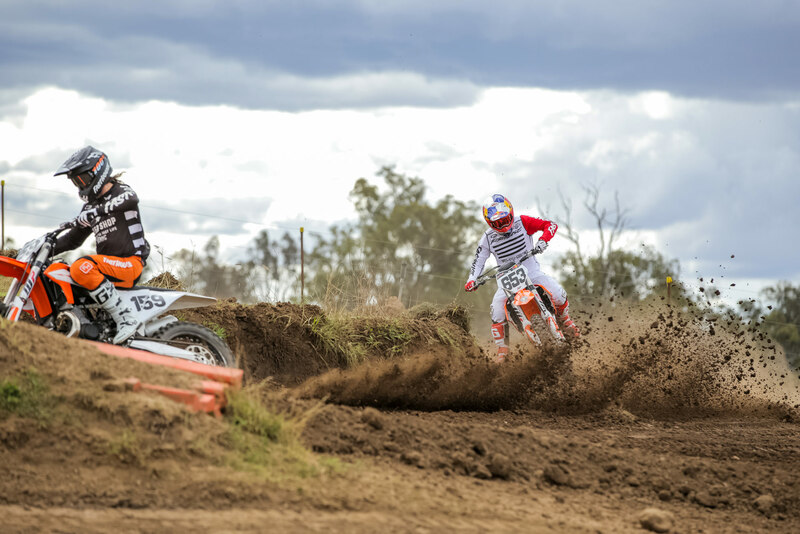 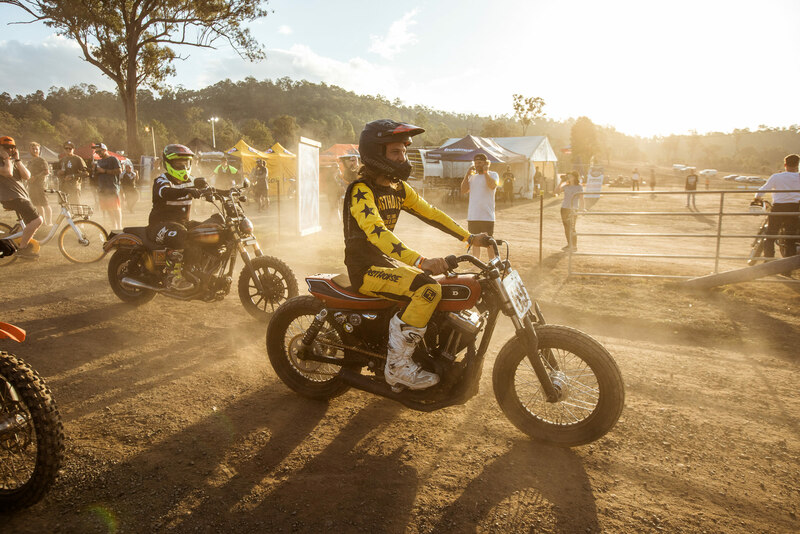 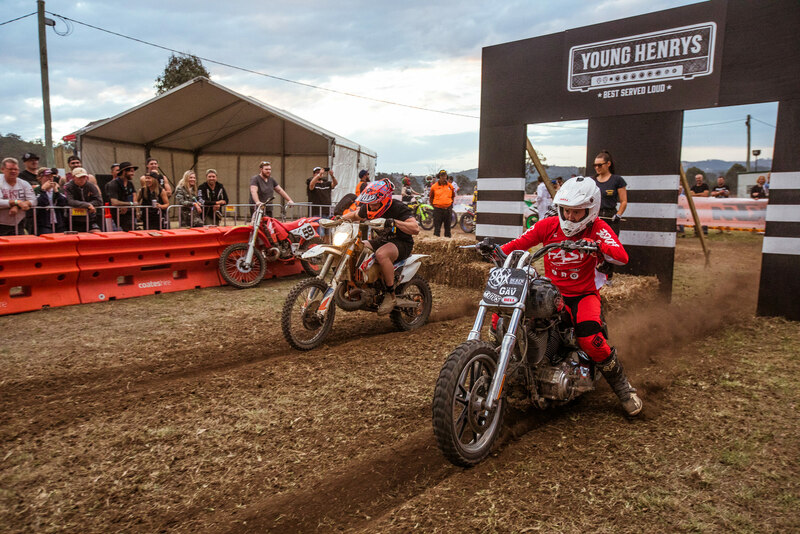 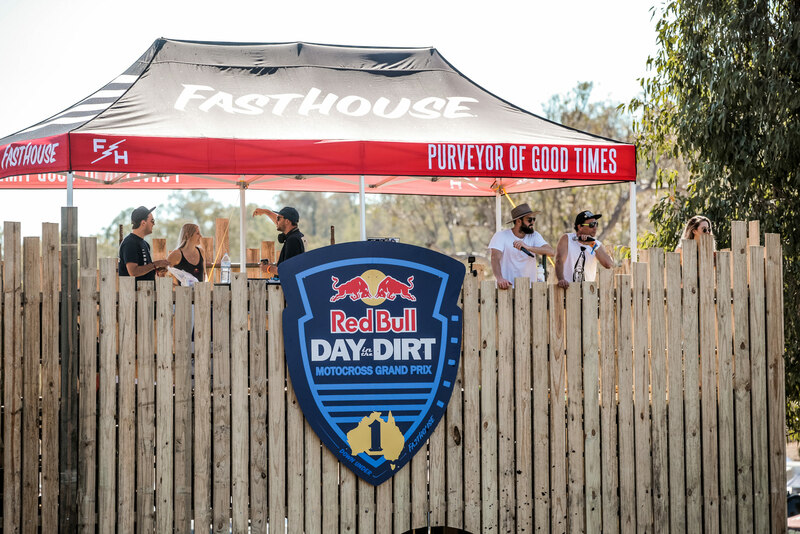 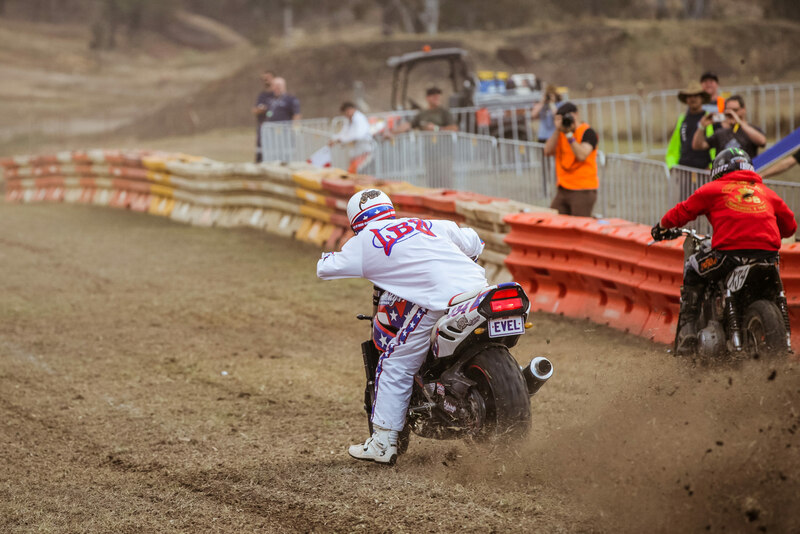 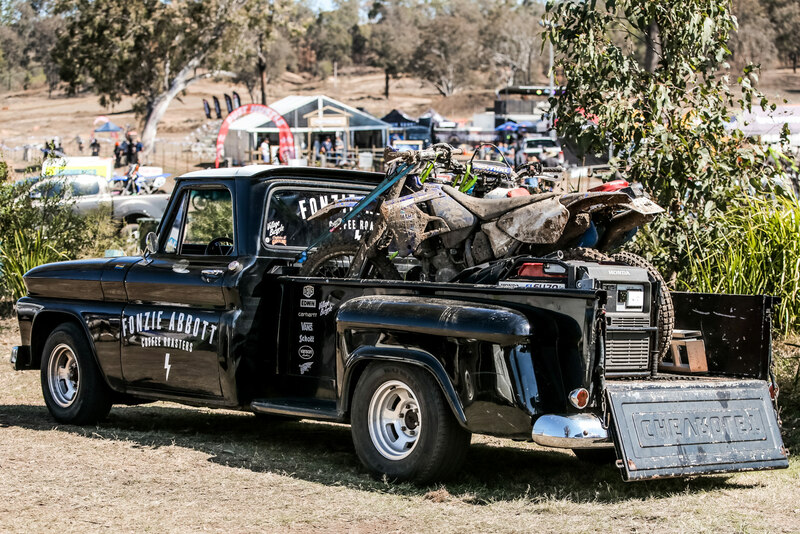 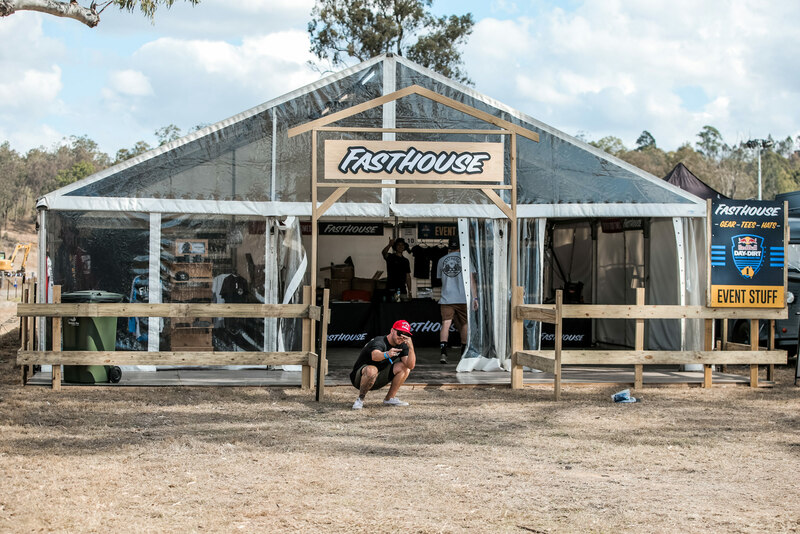 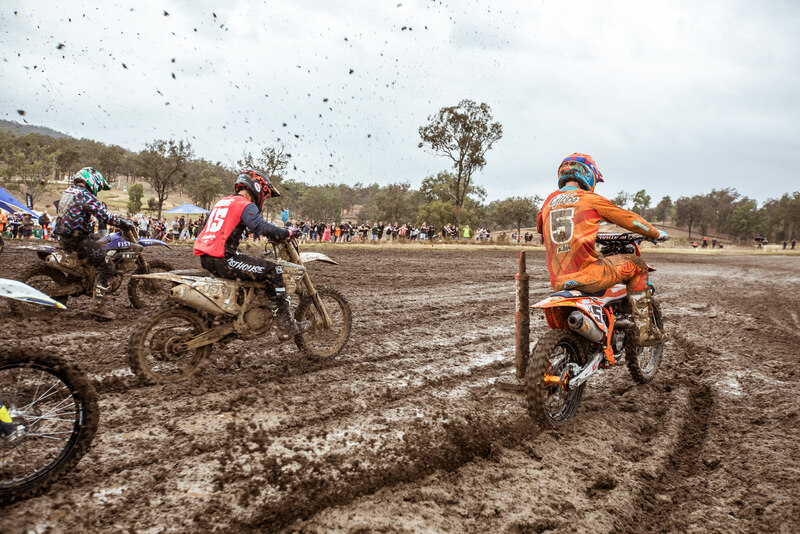 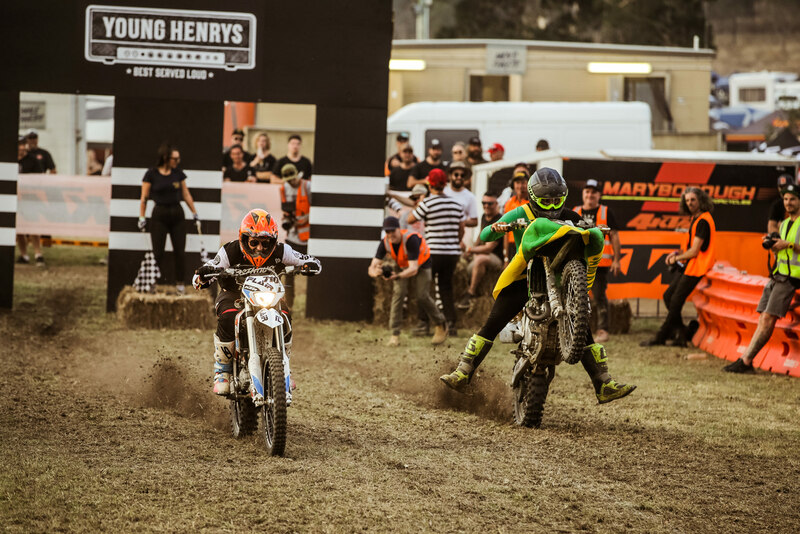 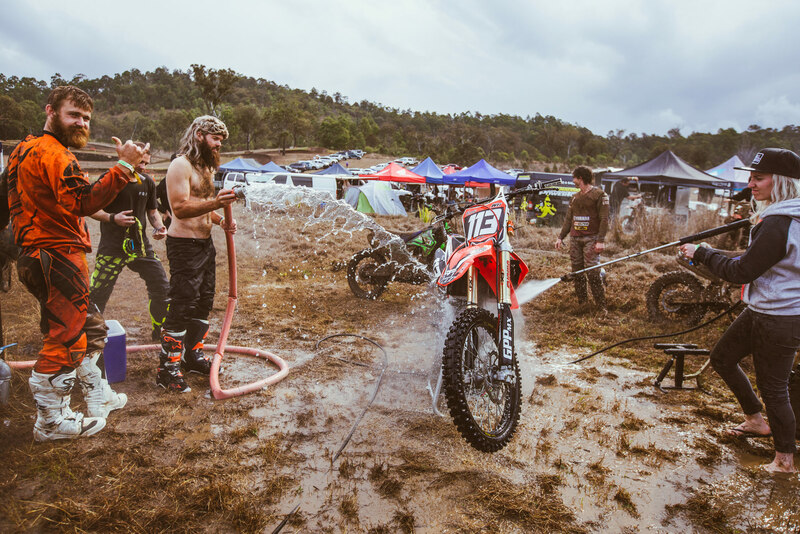 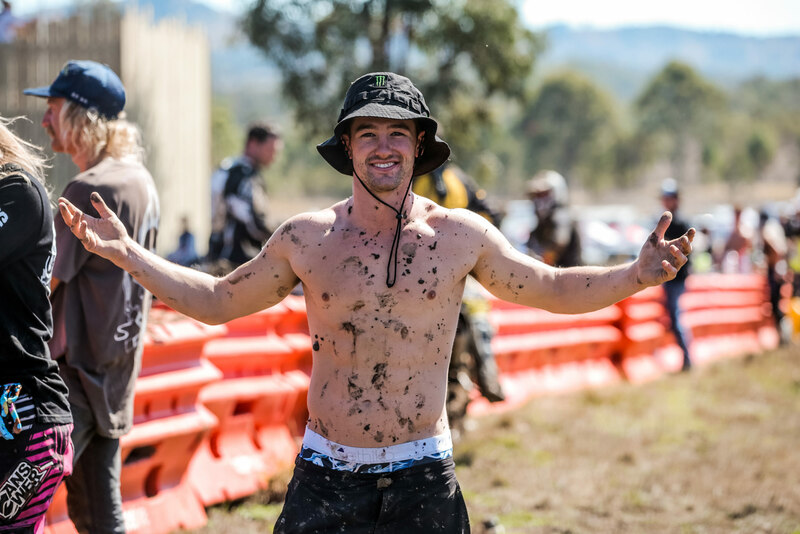 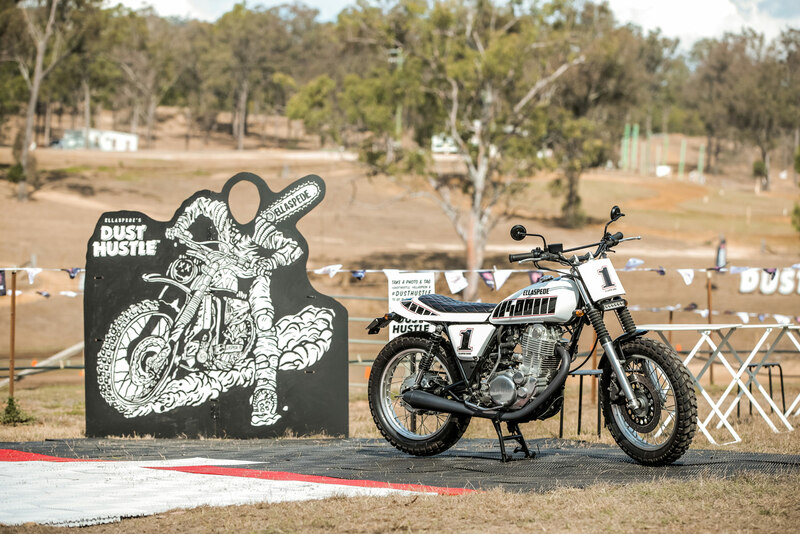 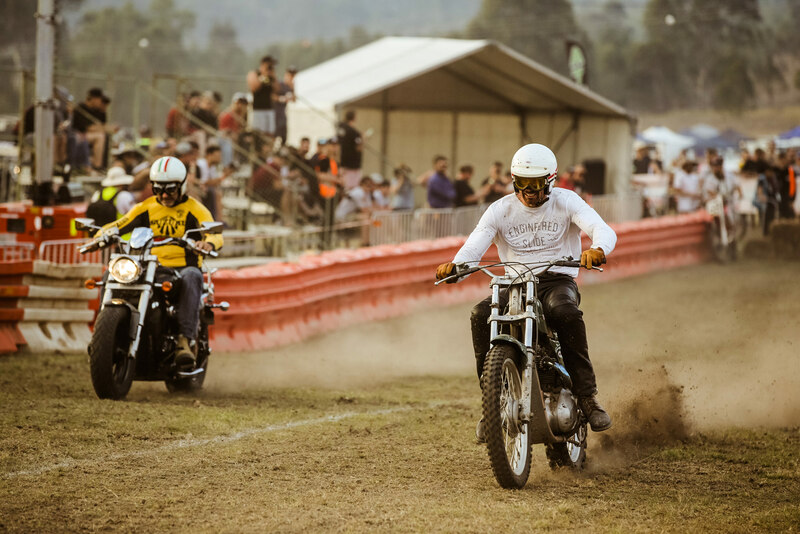 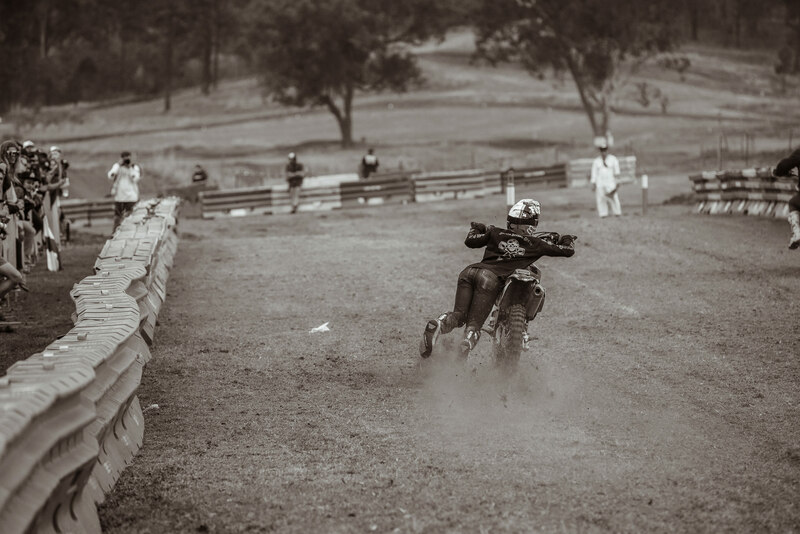 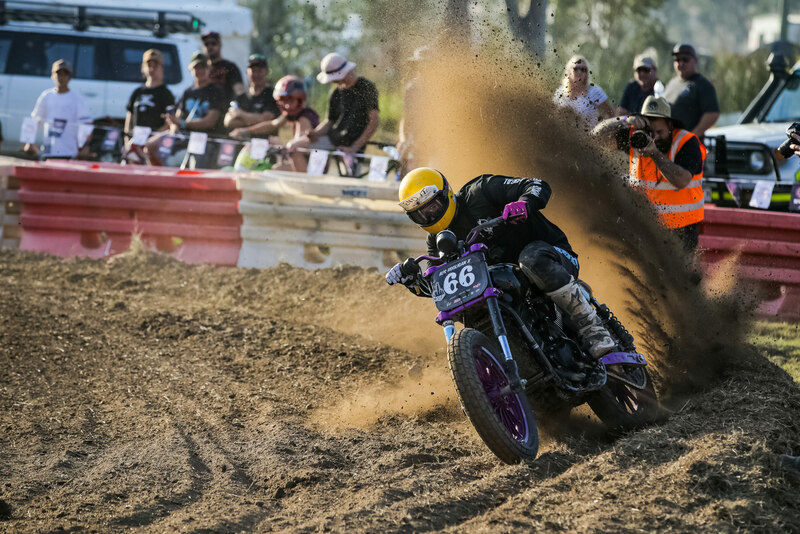 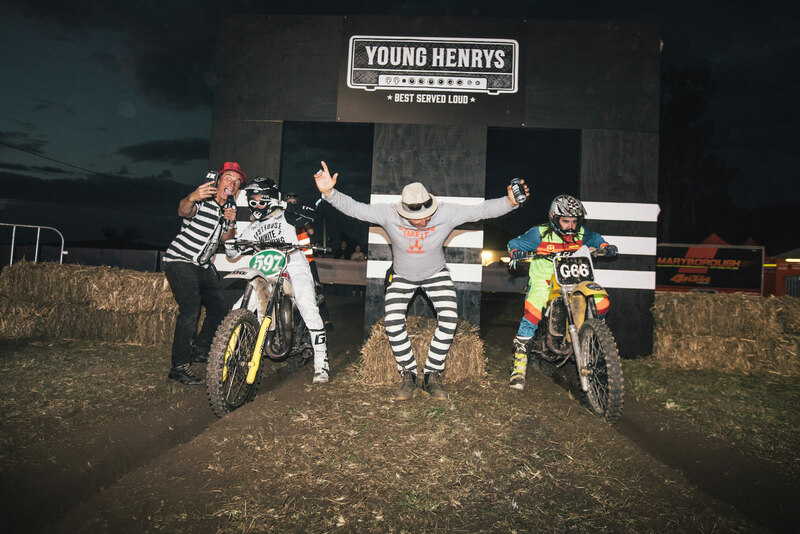 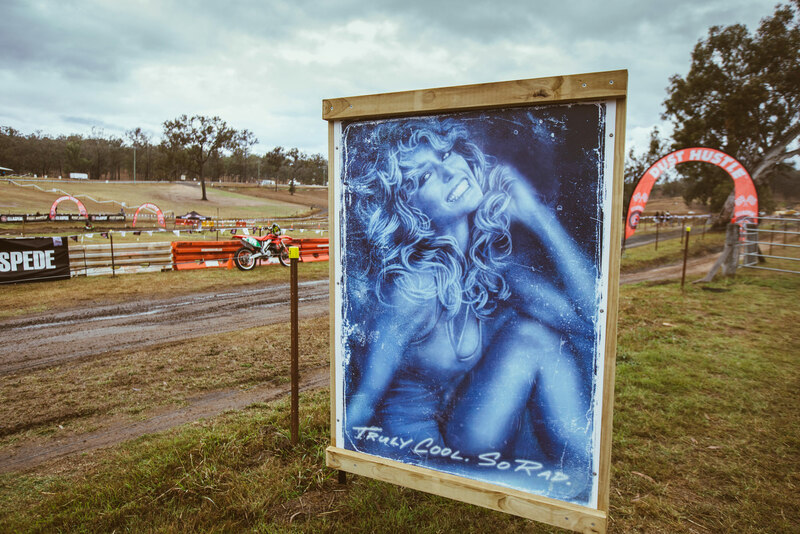 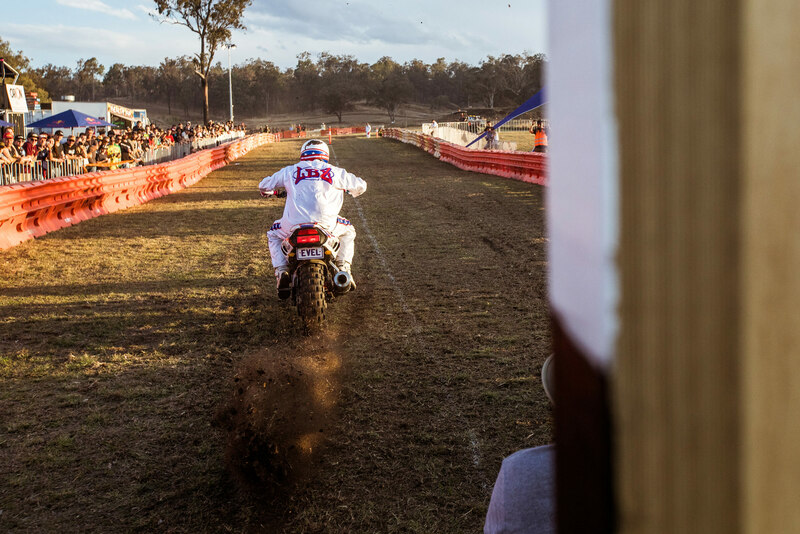 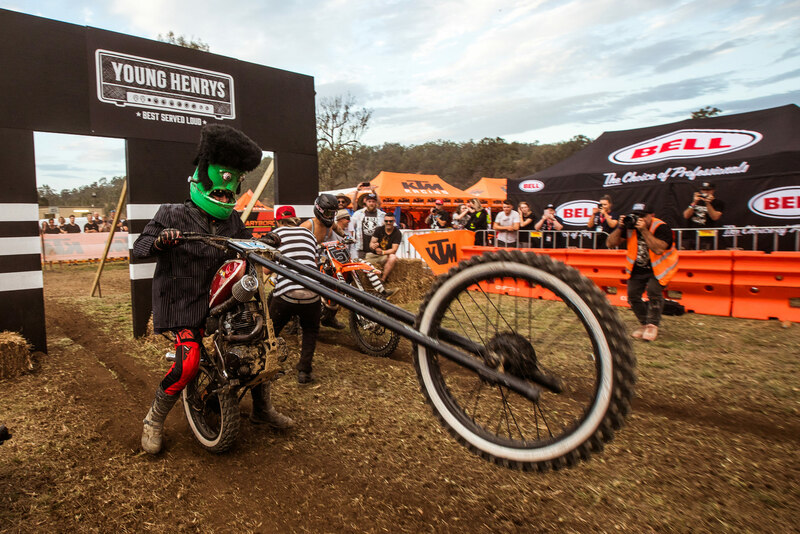 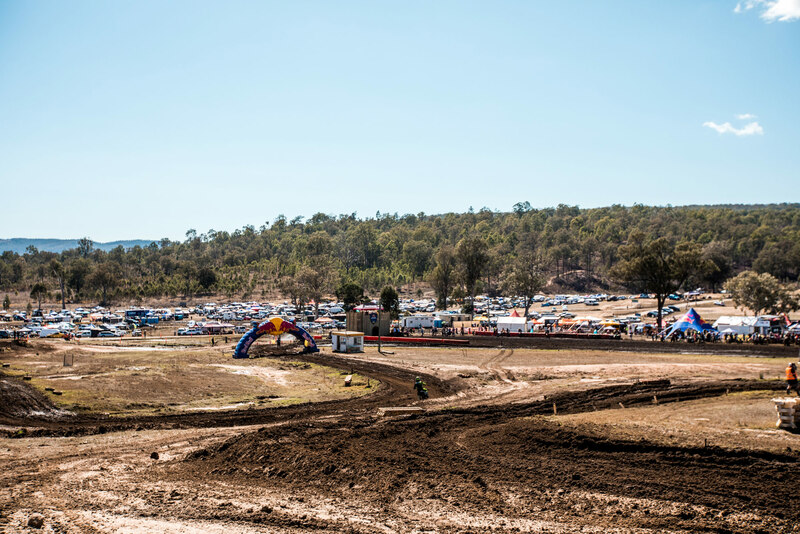 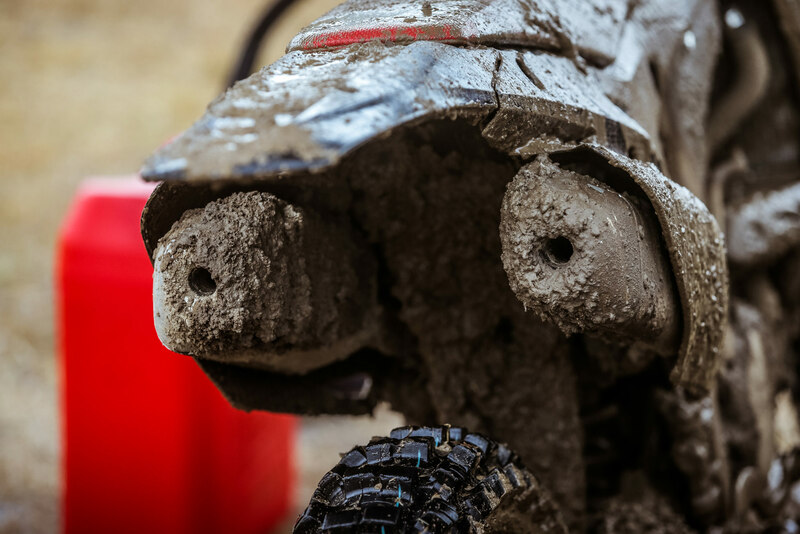 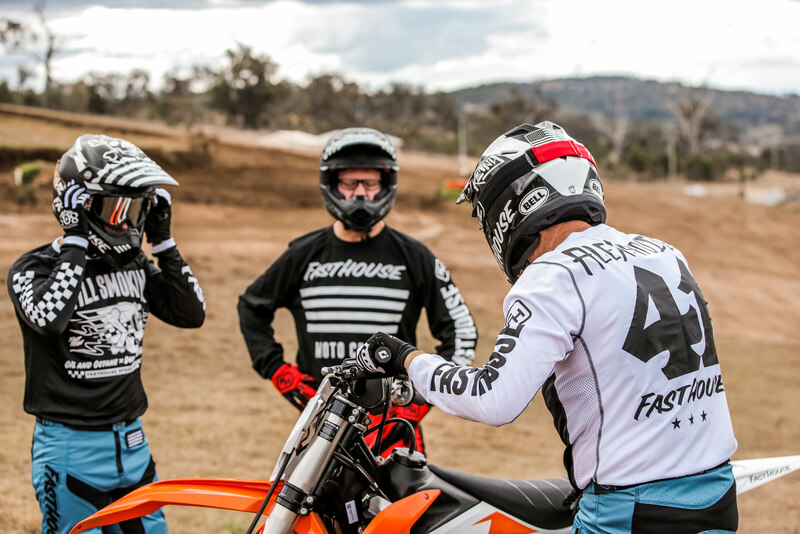 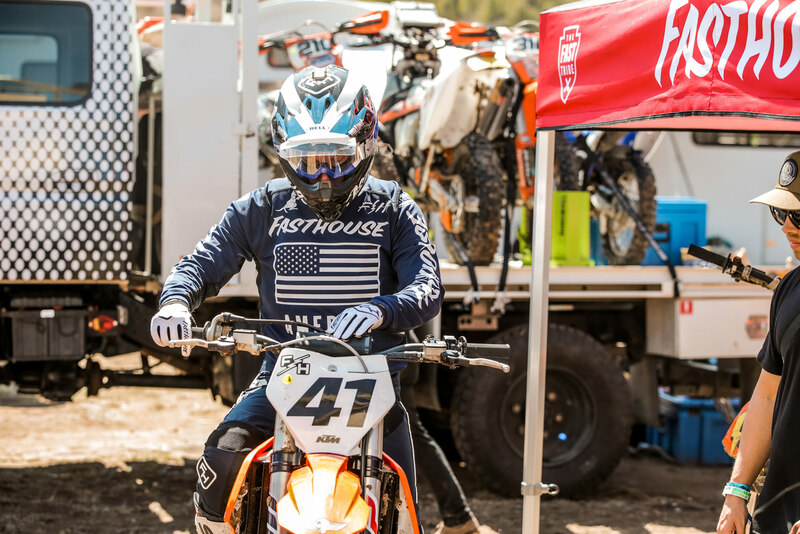 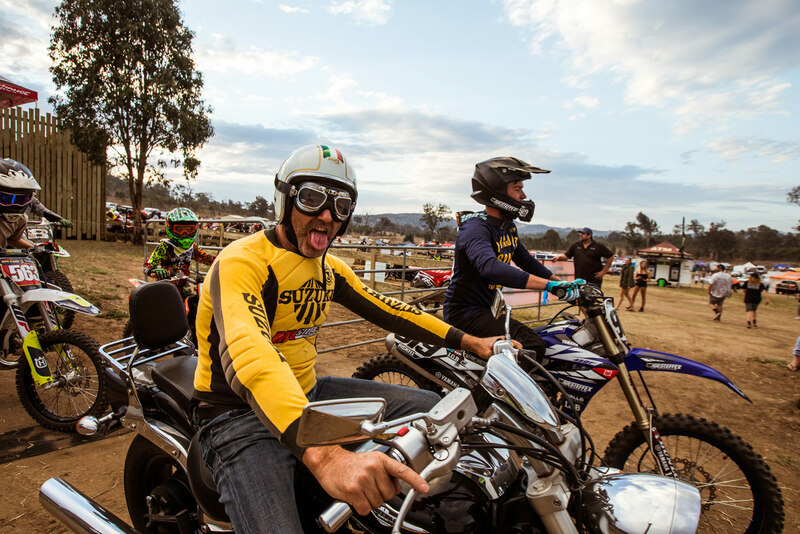 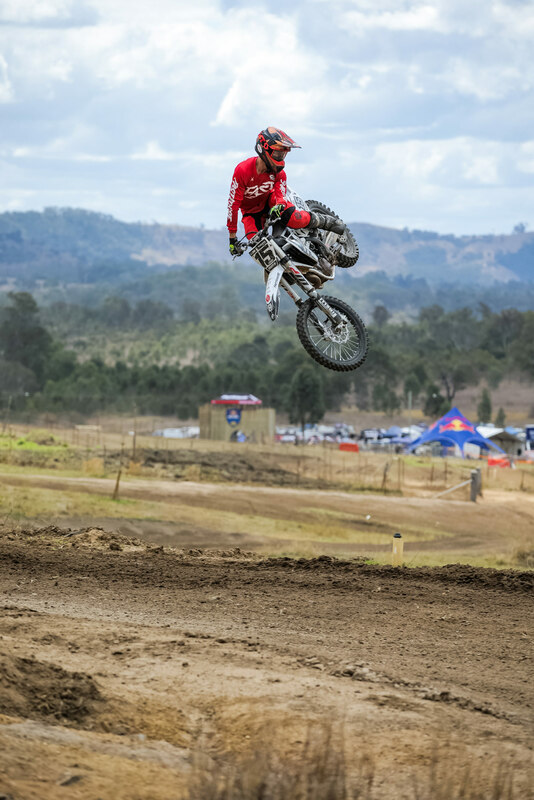 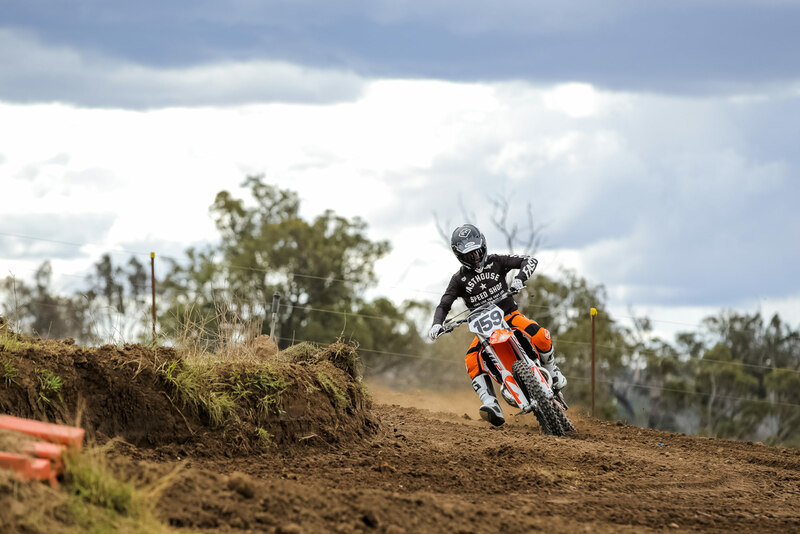 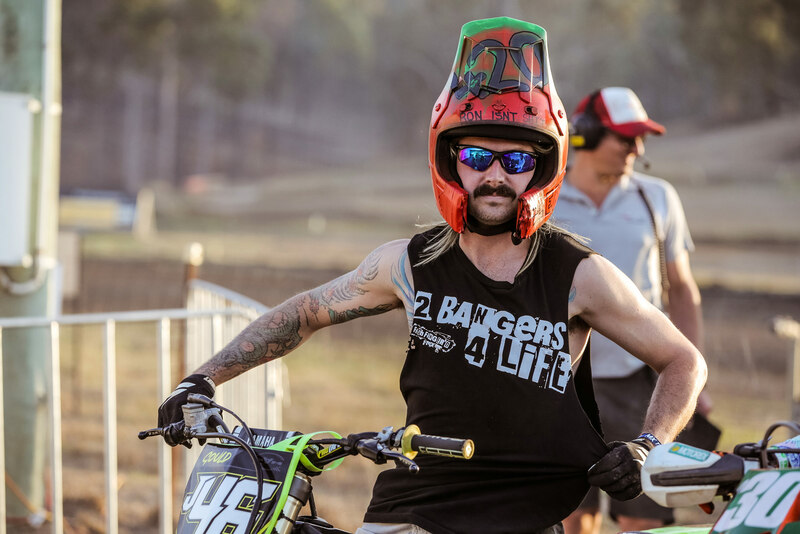 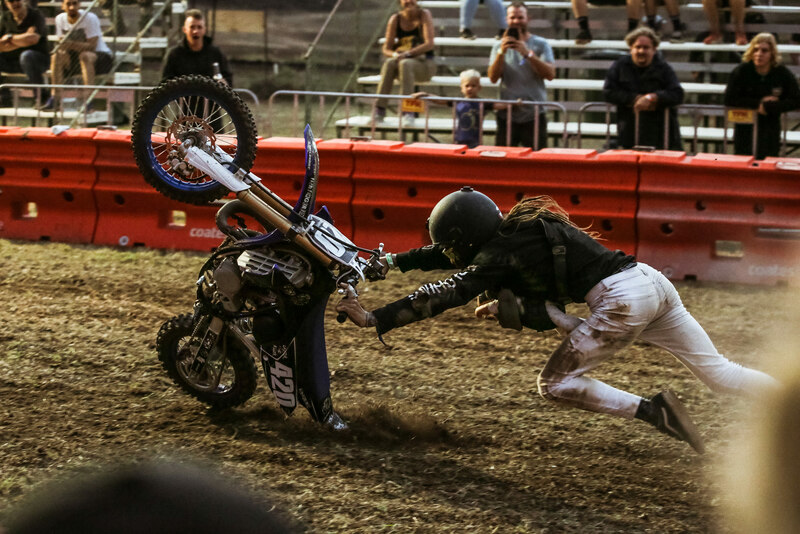 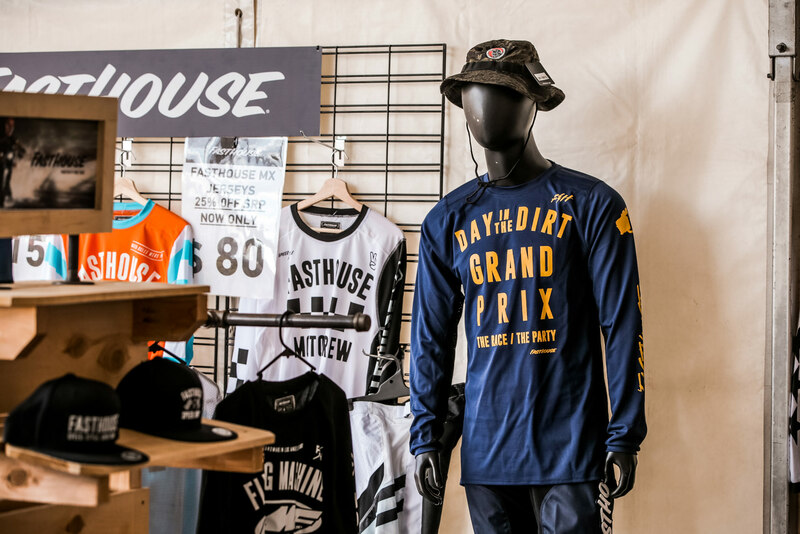 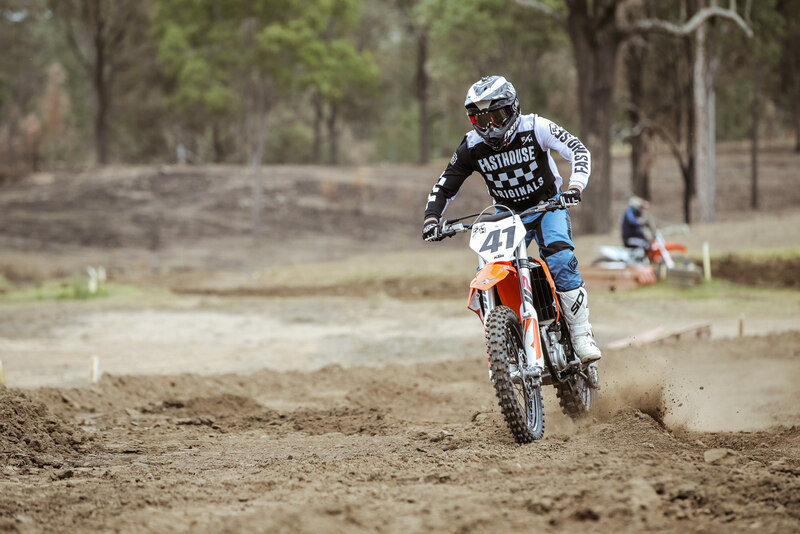 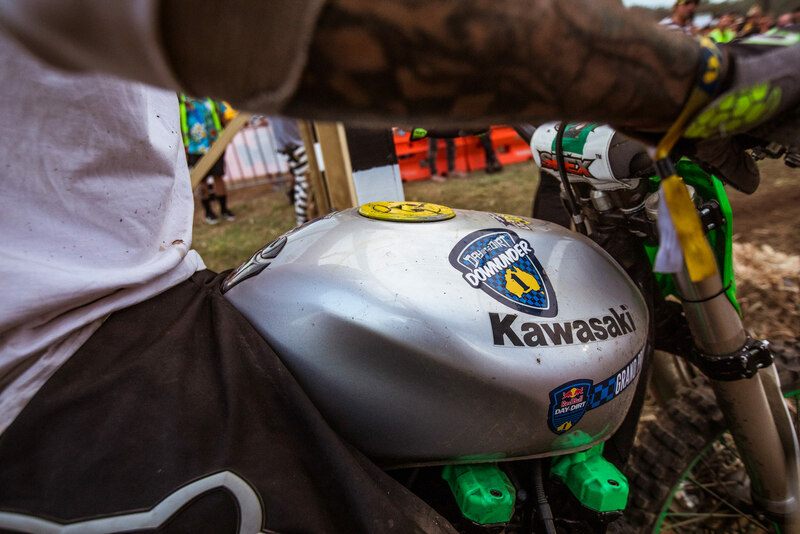 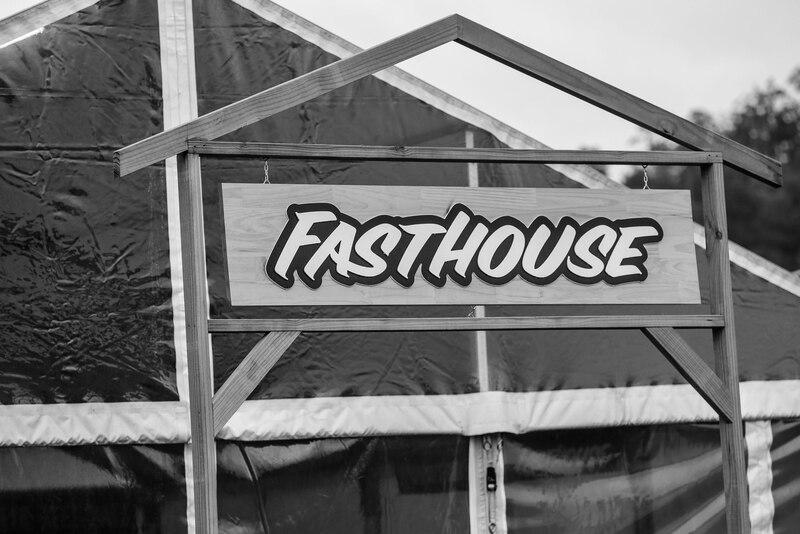 For years, the Aussies have been wanting to have the “fastest party in town” come down to their moto-loving country. 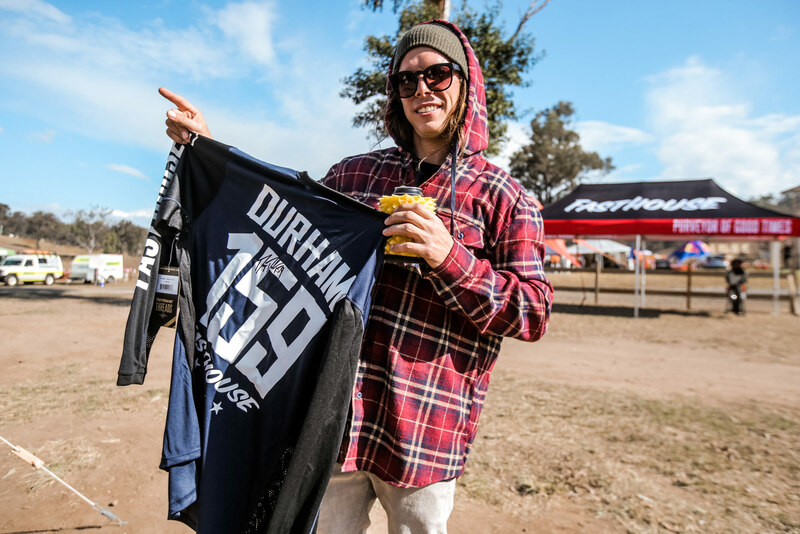 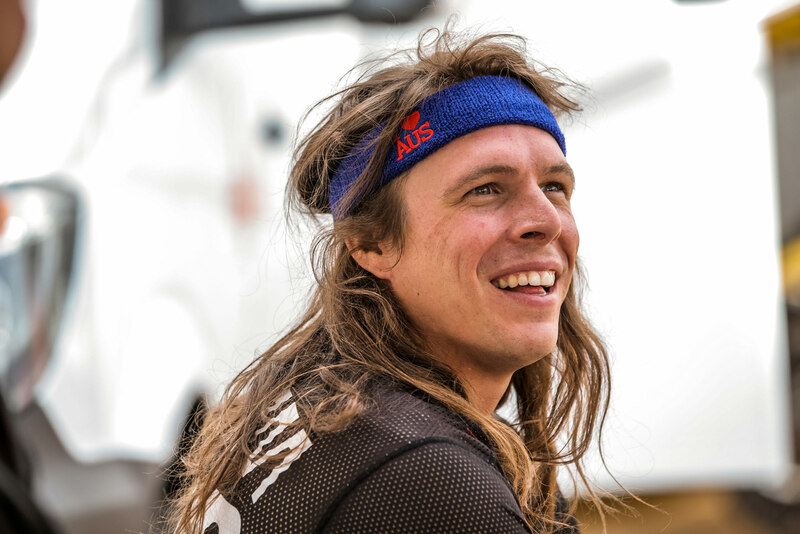 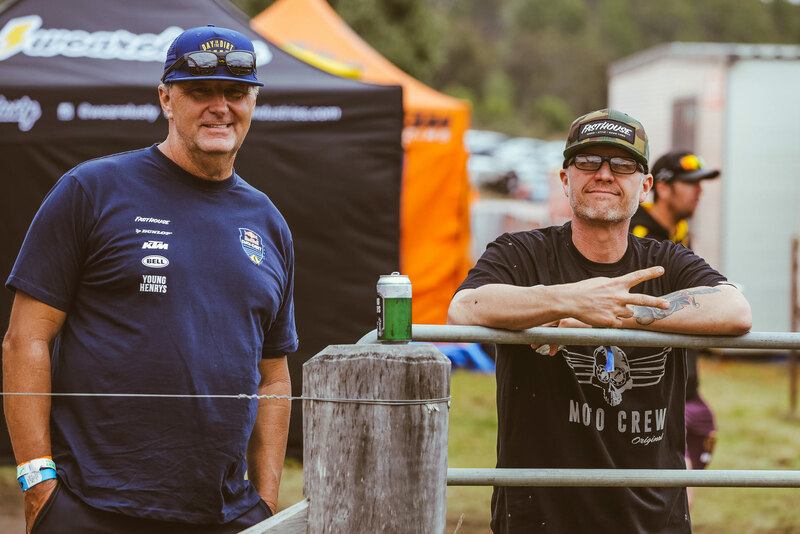 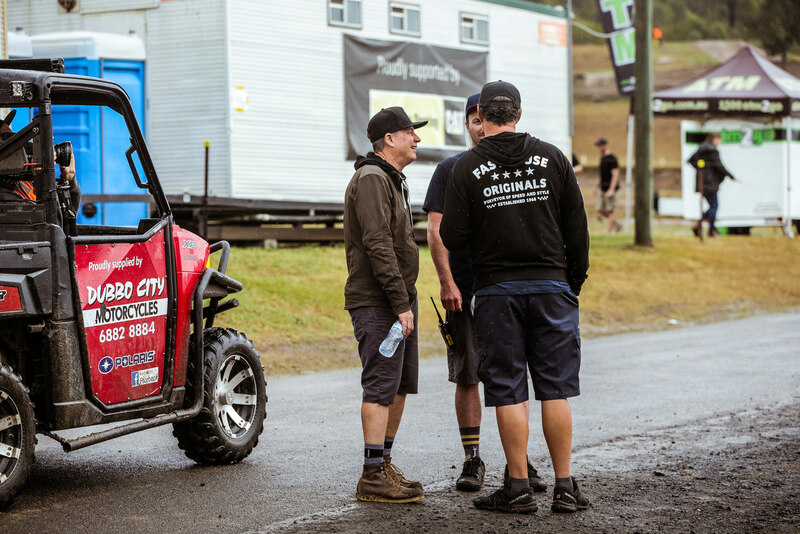 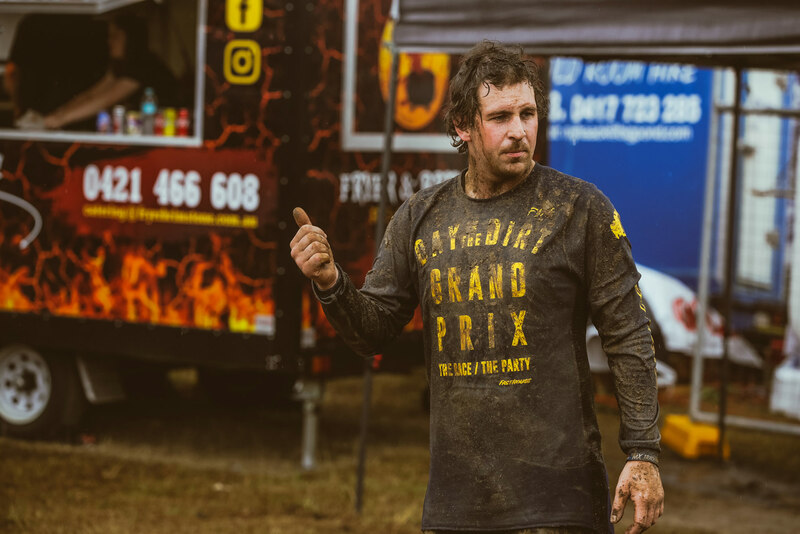 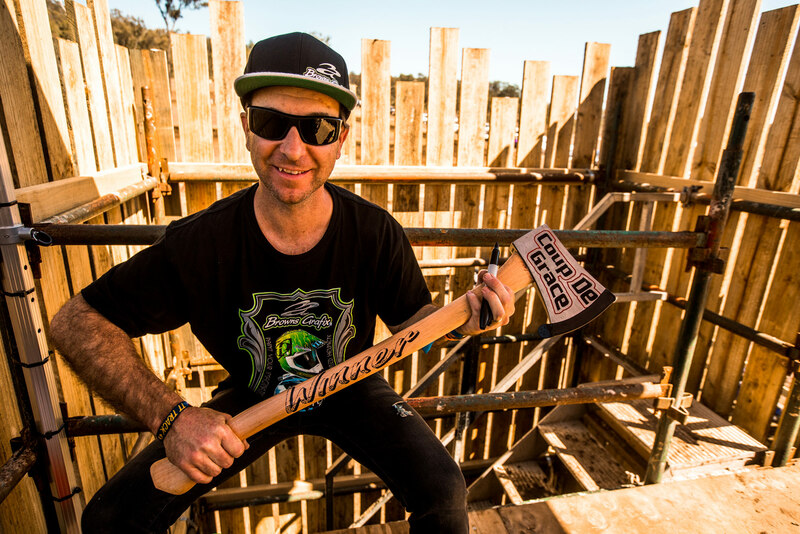 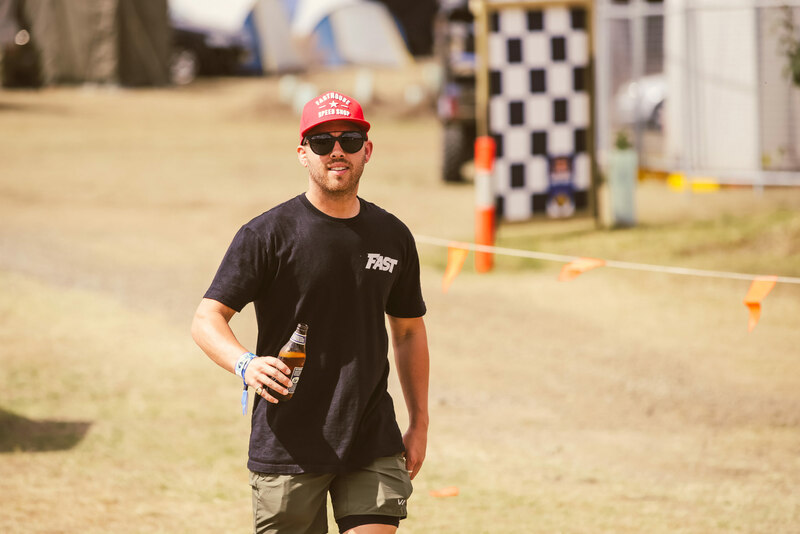 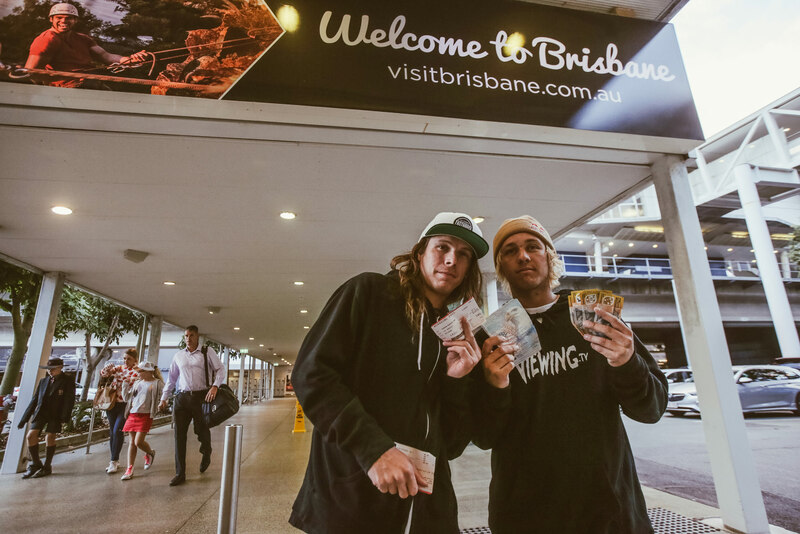 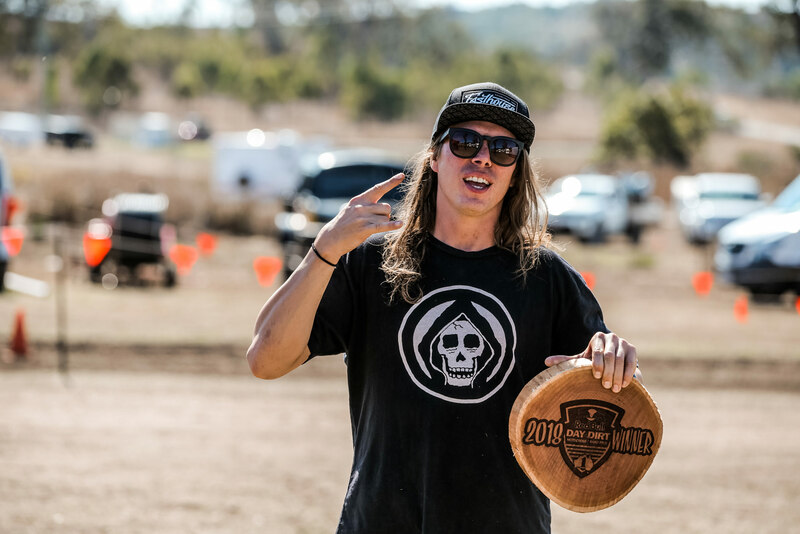 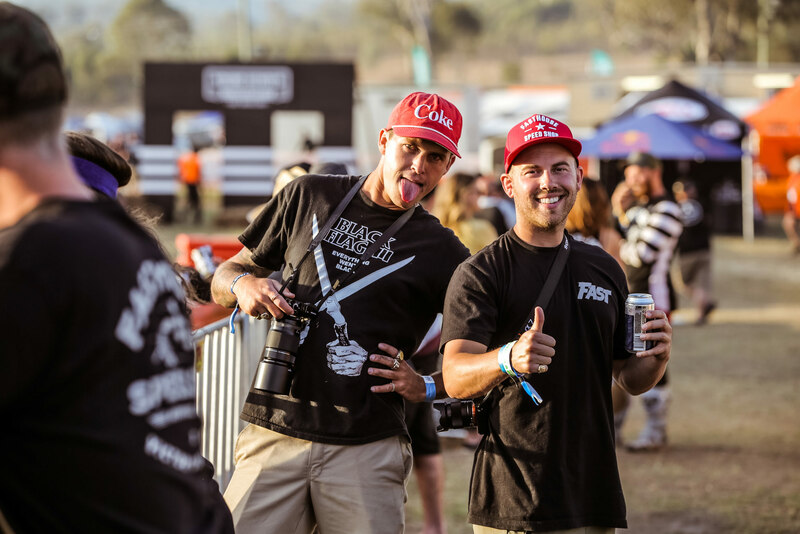 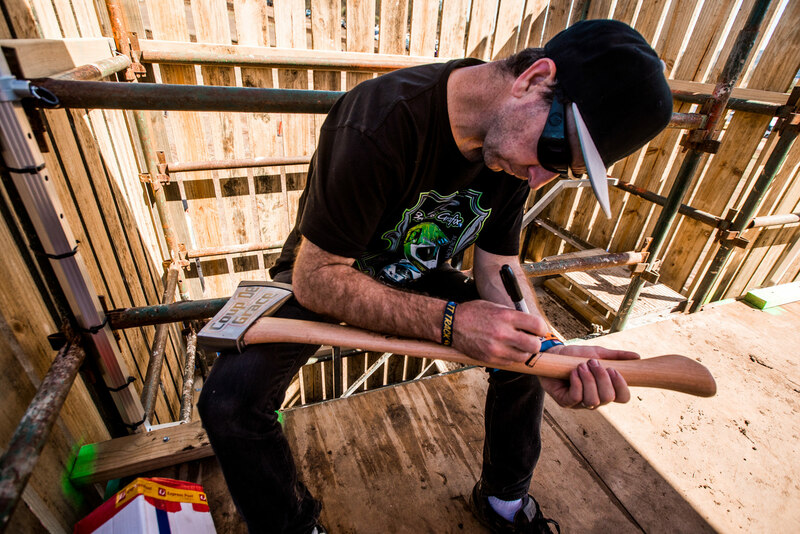 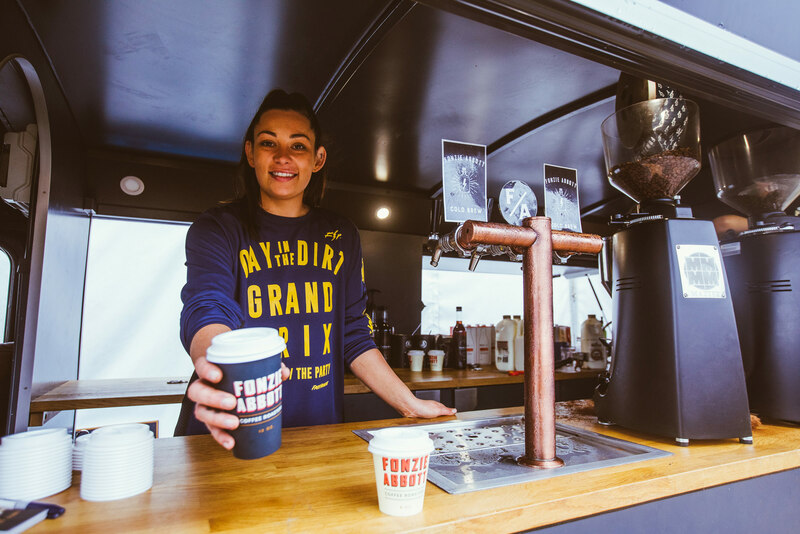 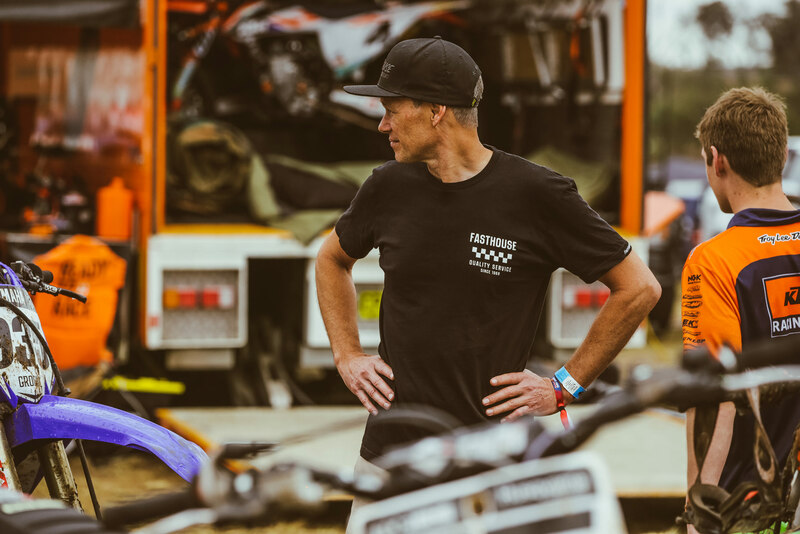 The idea to bring DITD down under began when the boys from Lusty hooked up the DITD crew with Simon Barratt (3CMG) who came to DITD 20 and spent the weekend taking it all in. 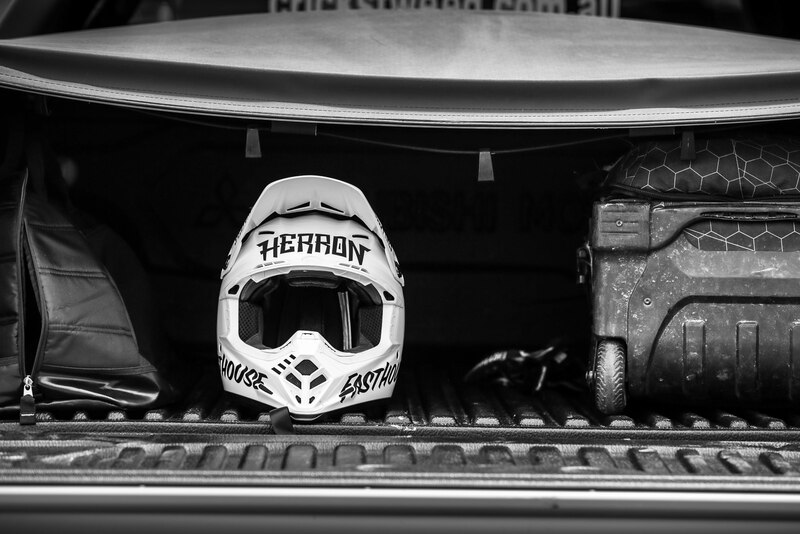 After that trip, the hook was set. 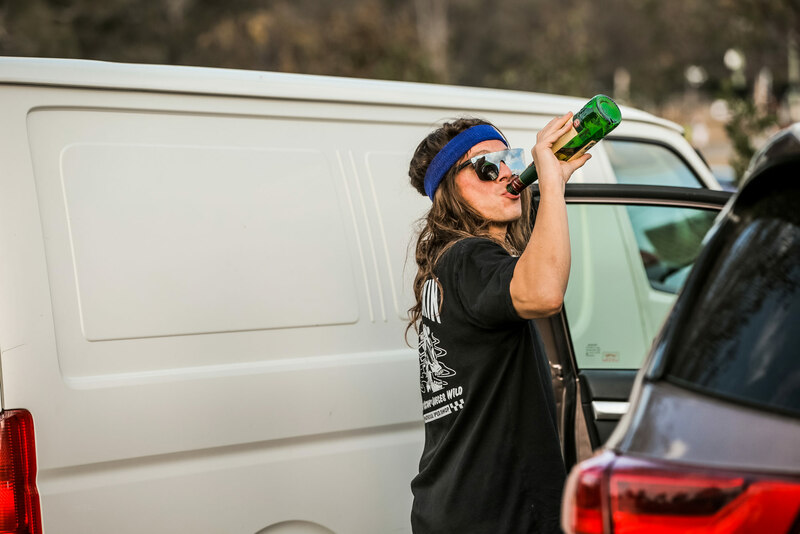 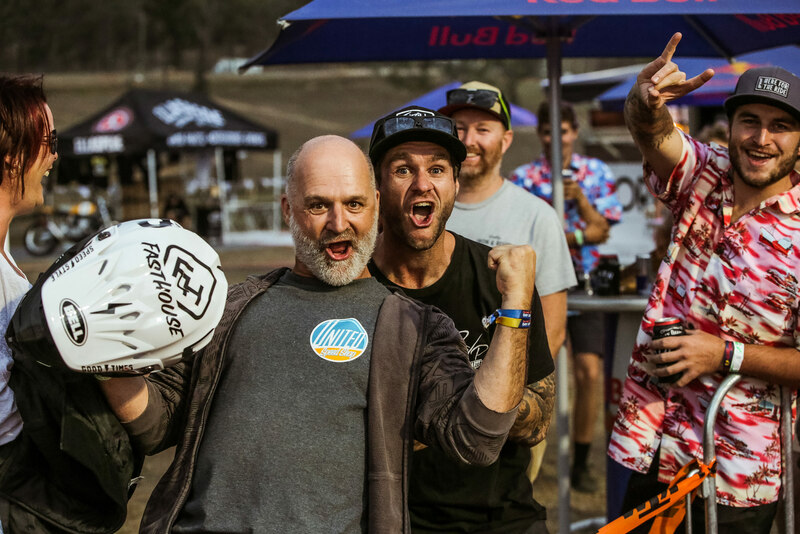 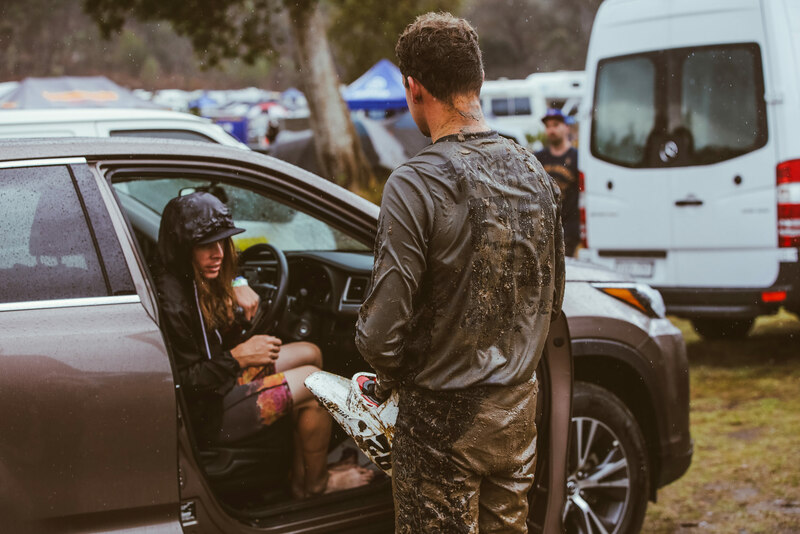 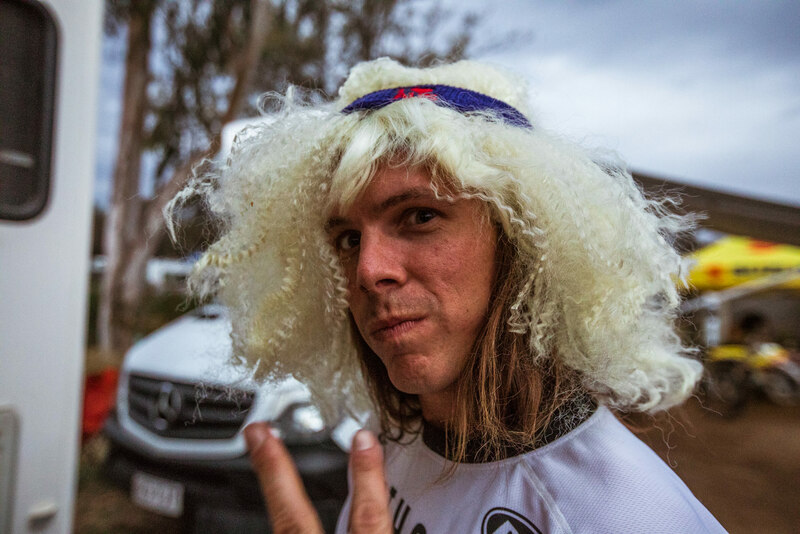 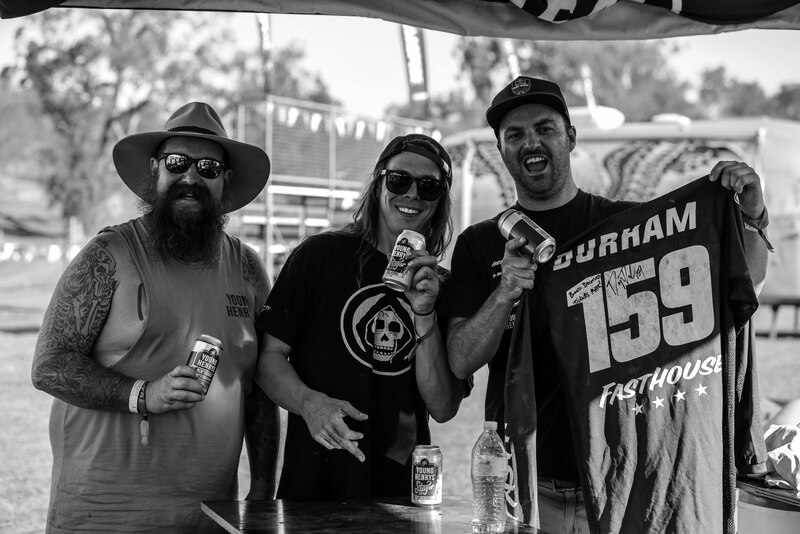 The Australian crew and the U.S. crew combined heads and hearts, and in less than a year they put together one hell of a party/race. 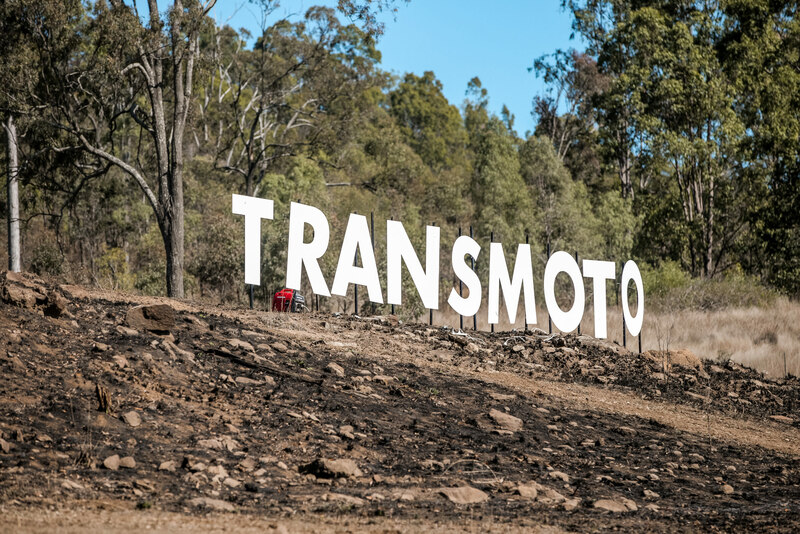 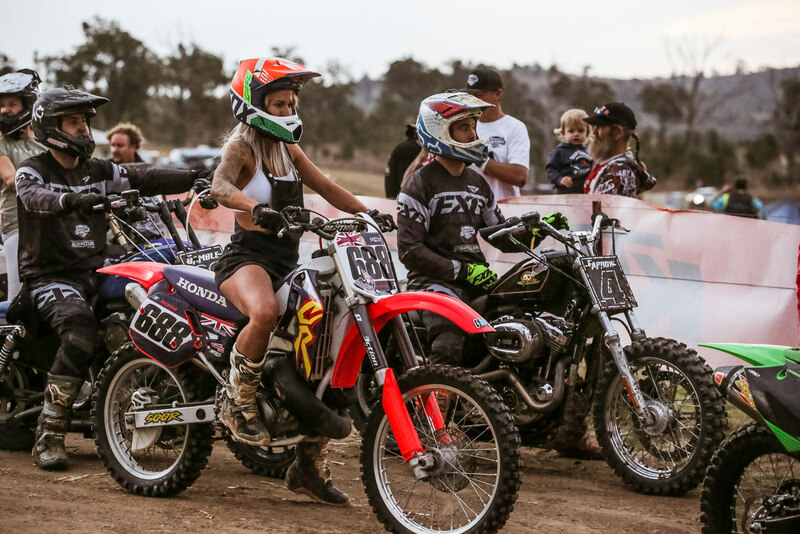 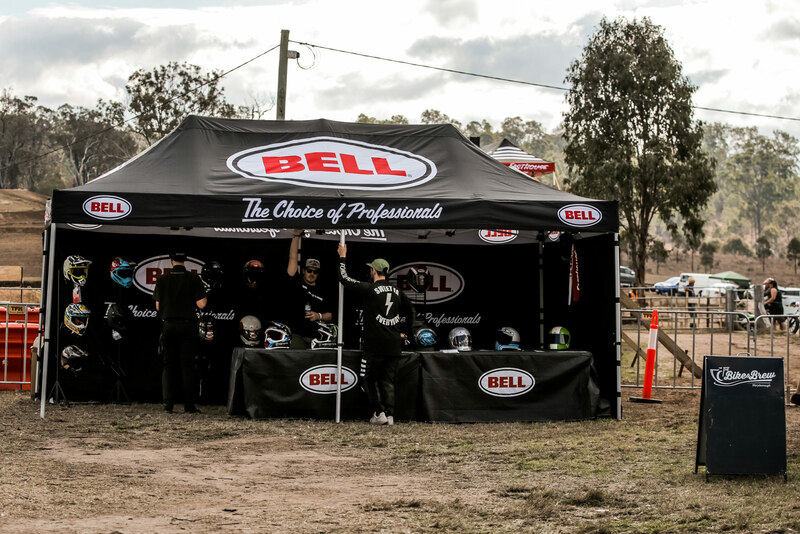 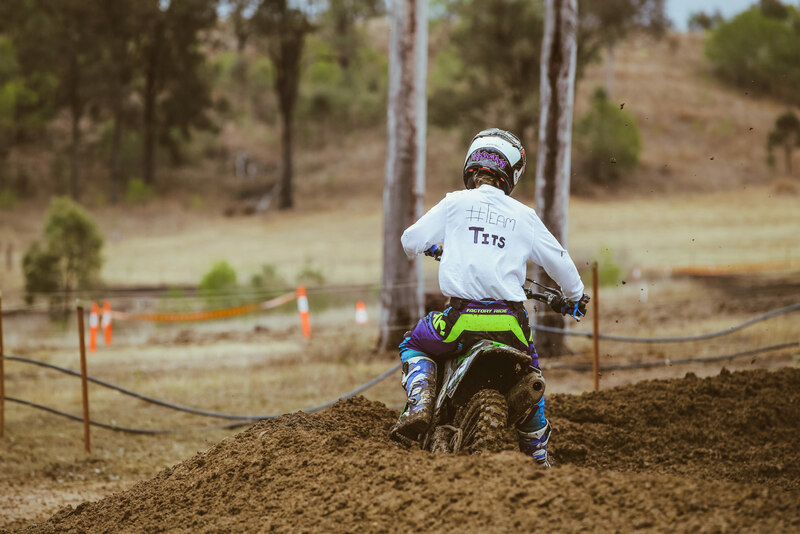 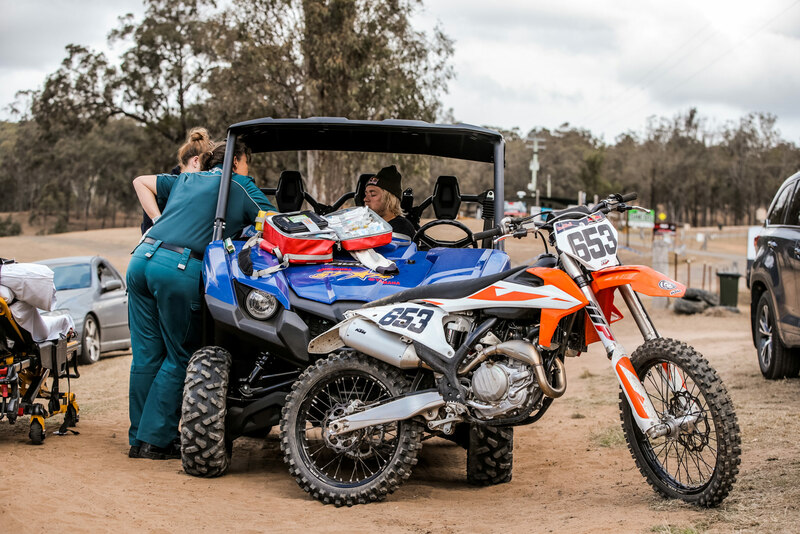 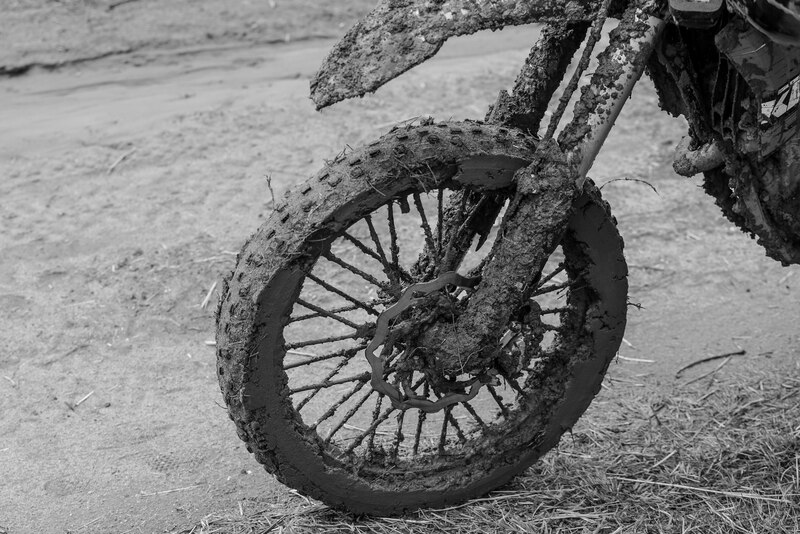 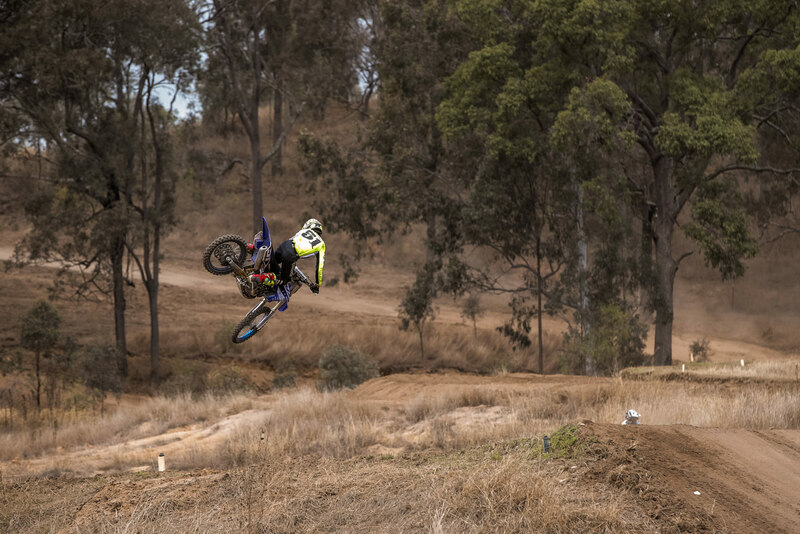 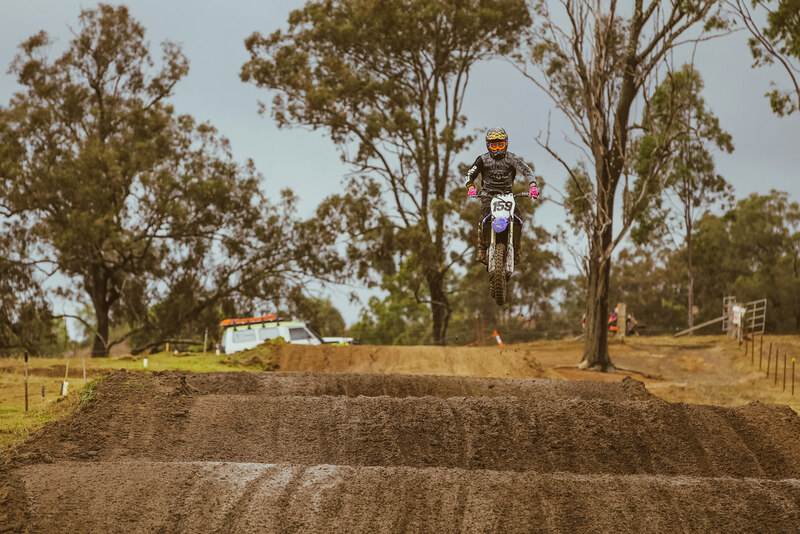 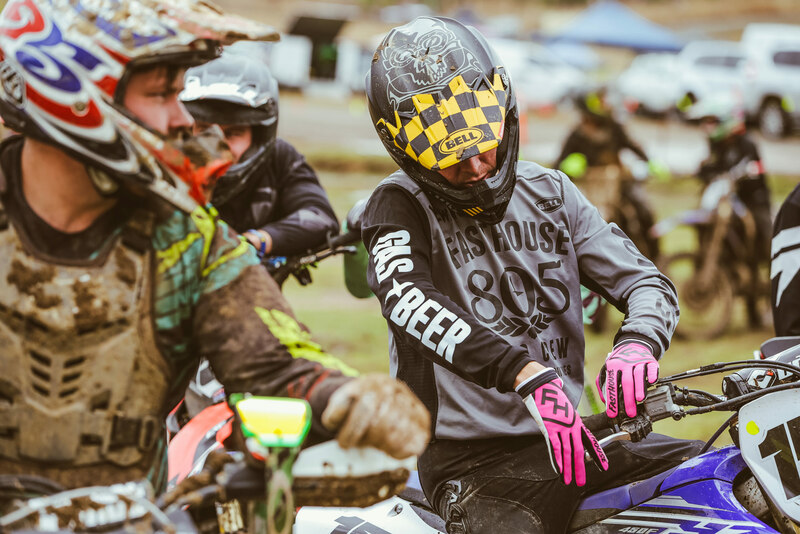 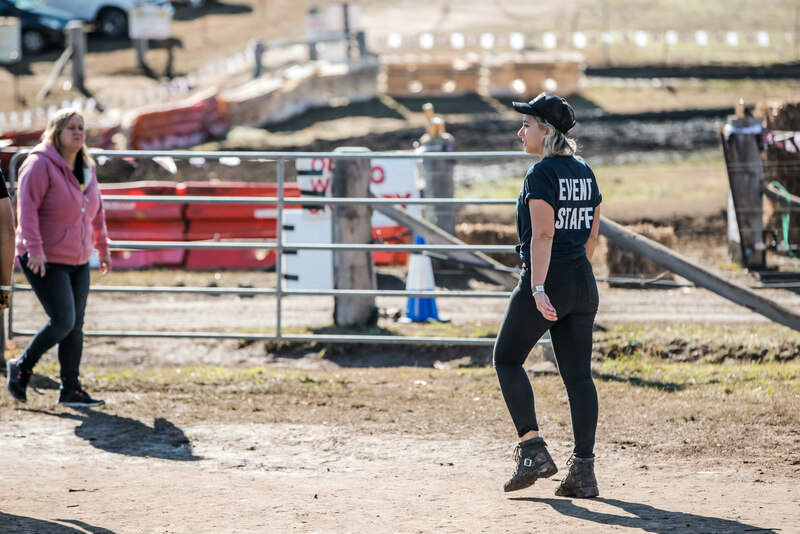 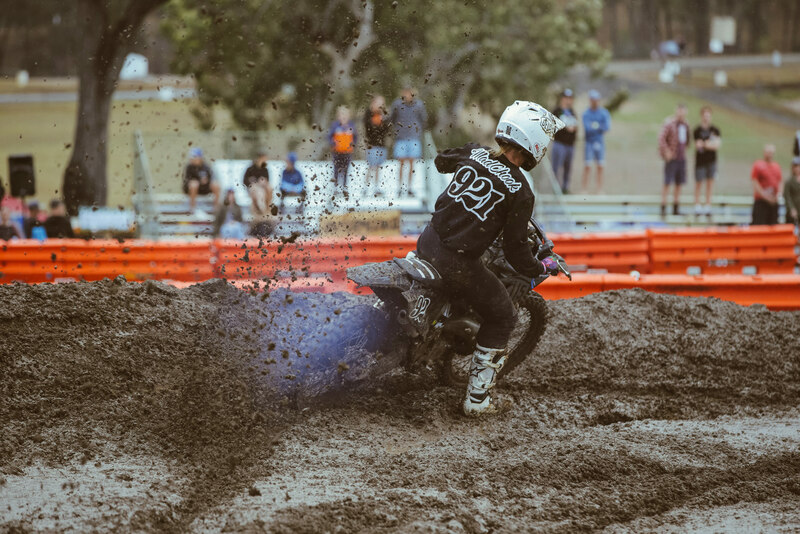 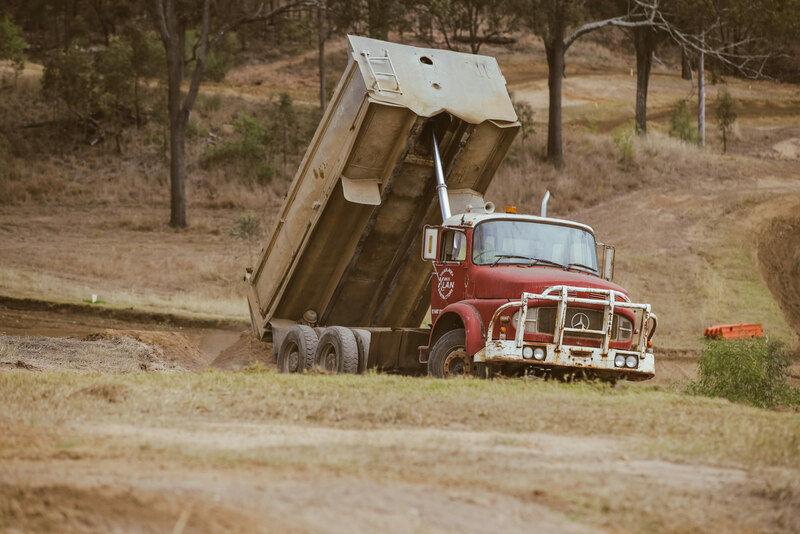 When the SoCal crew pulled into Queensland Moto Park, about an hour and a half out of Brisbane, it was a sight to behold. 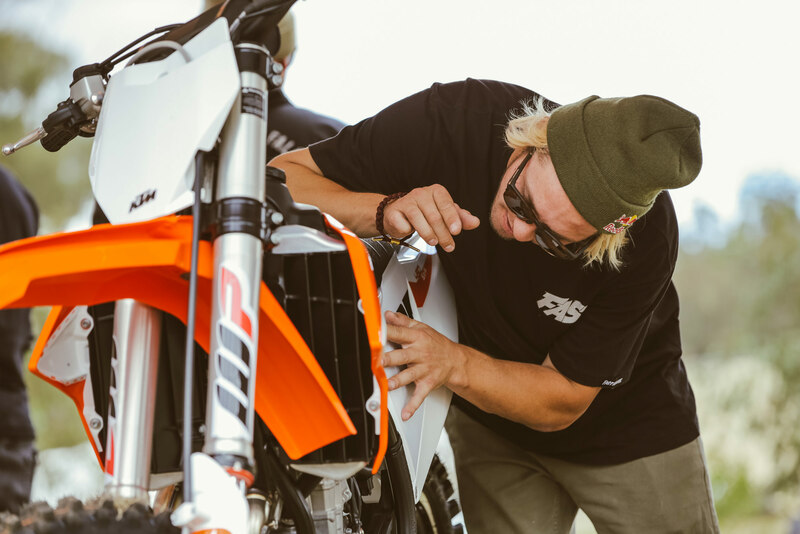 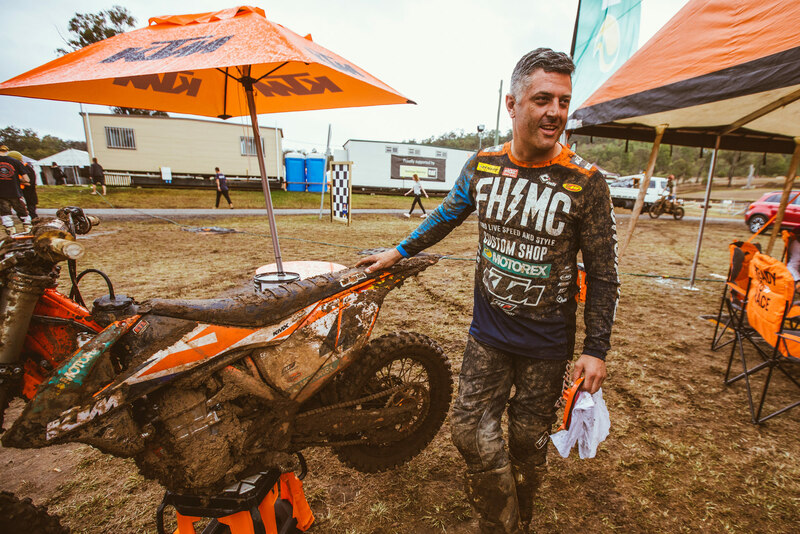 Right in the middle of incredible rolling hills were three tracks combined together, all groomed and ready for us to play on with some brand new KTMs to ride—we definitely got the red-carpet treatment. 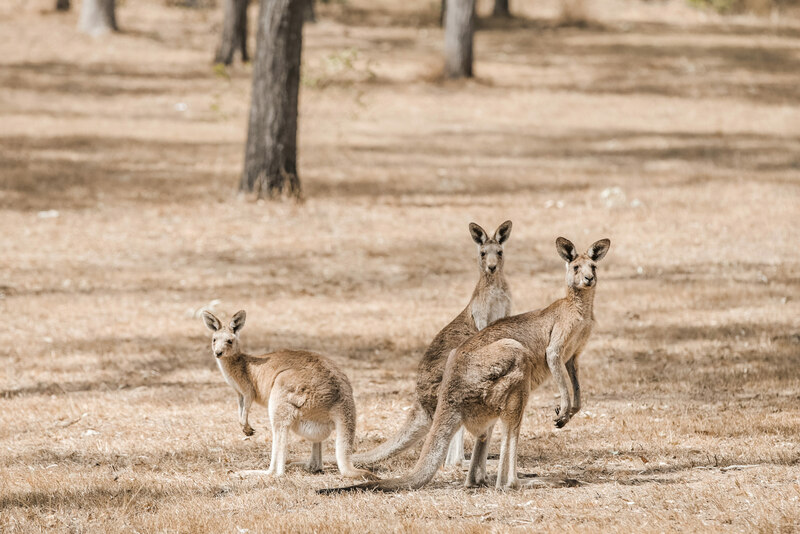 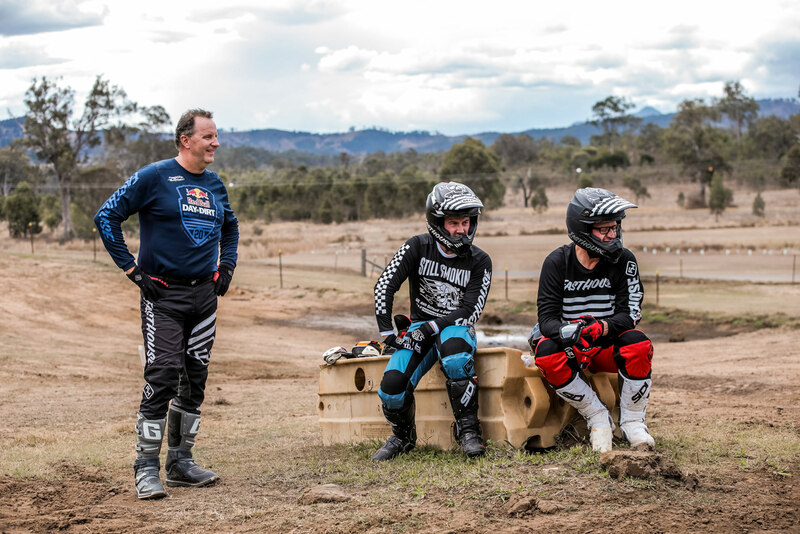 But first thing we were wondering was how we were going to avoid the kangaroos clearly visible on the track. 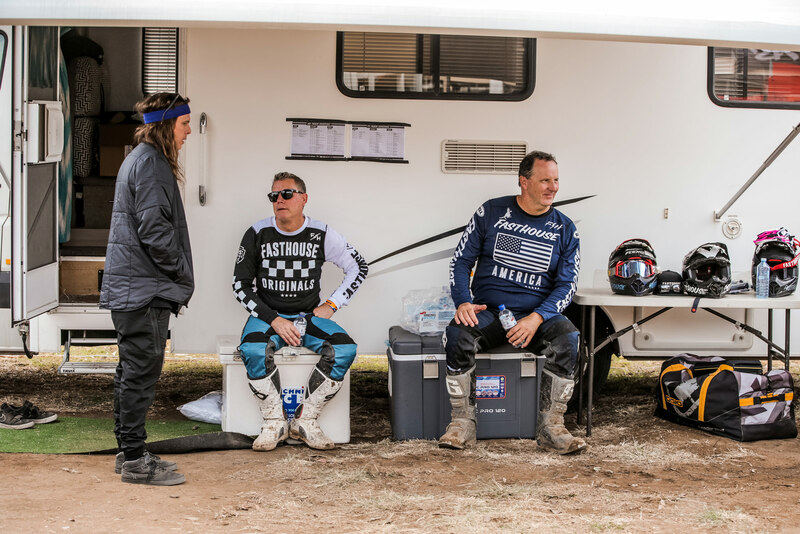 Being assured they would get out of our way, we wasted no time getting geared up. 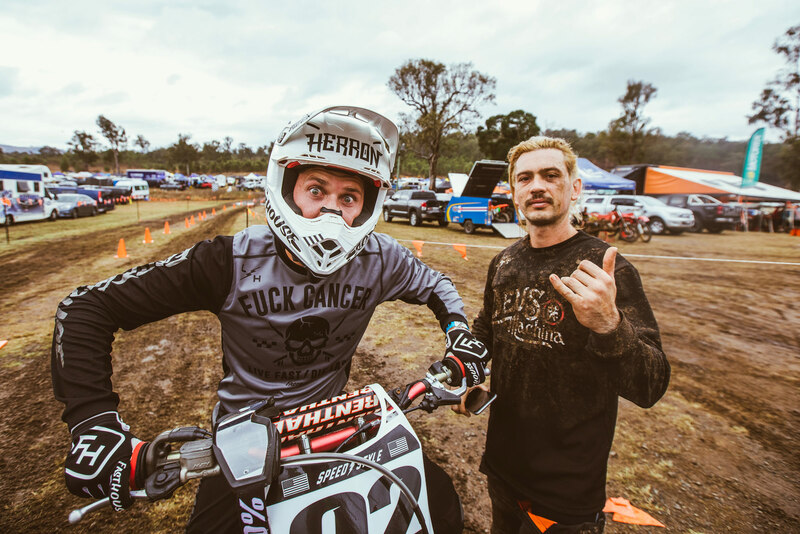 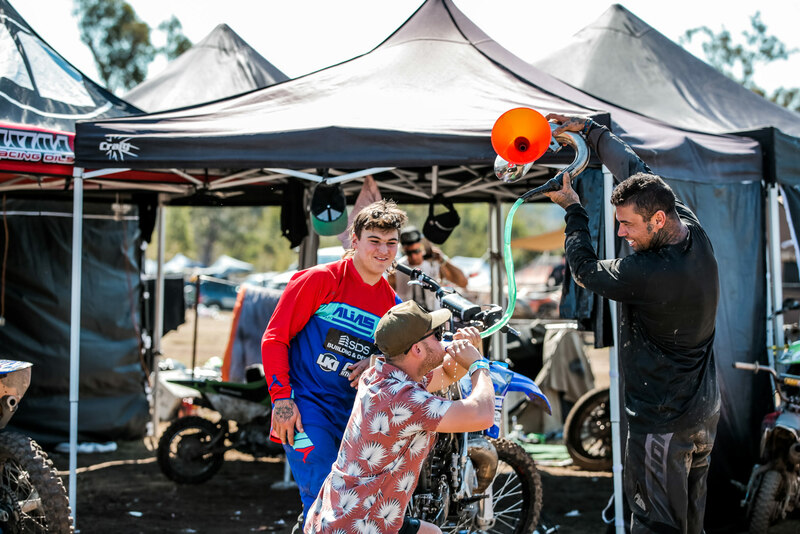 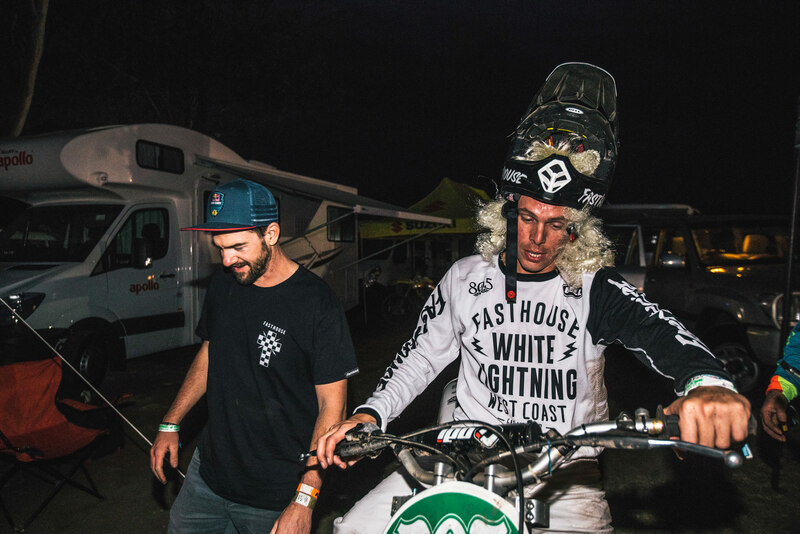 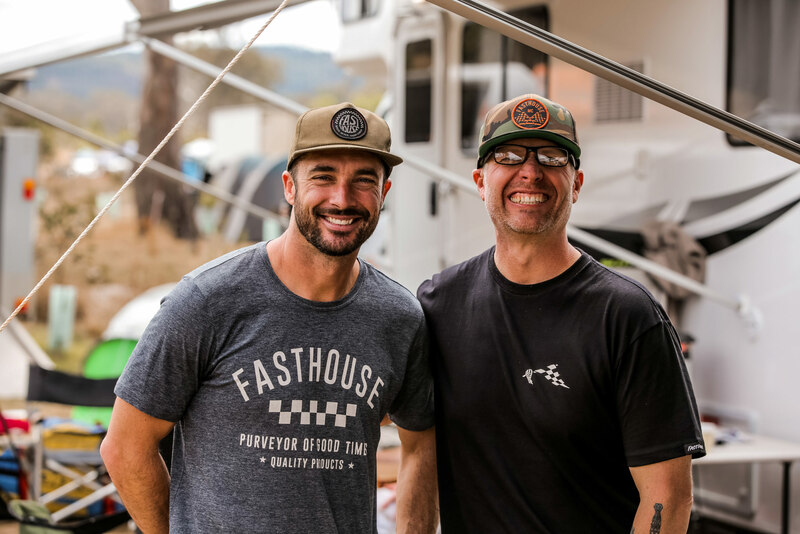 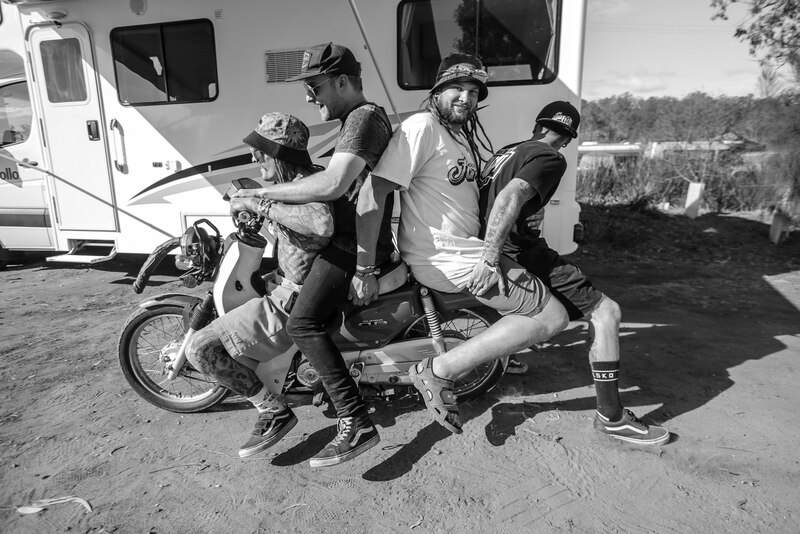 Our crew consisted of myself, Jason Fontse aka “Fonzy”, Manny Gasper, Tyler Bereman, Darryn Durham, Danny Osterman, Lyon Herron, Max Mandell, and our Aussie crew member Dan Reardon. 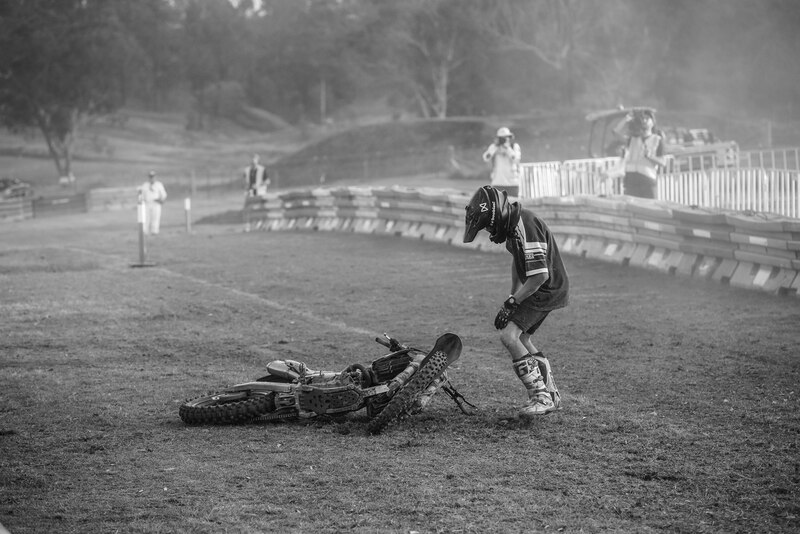 Everyone was ripping it up and having fun until Tyler had a nasty crash busting himself up. 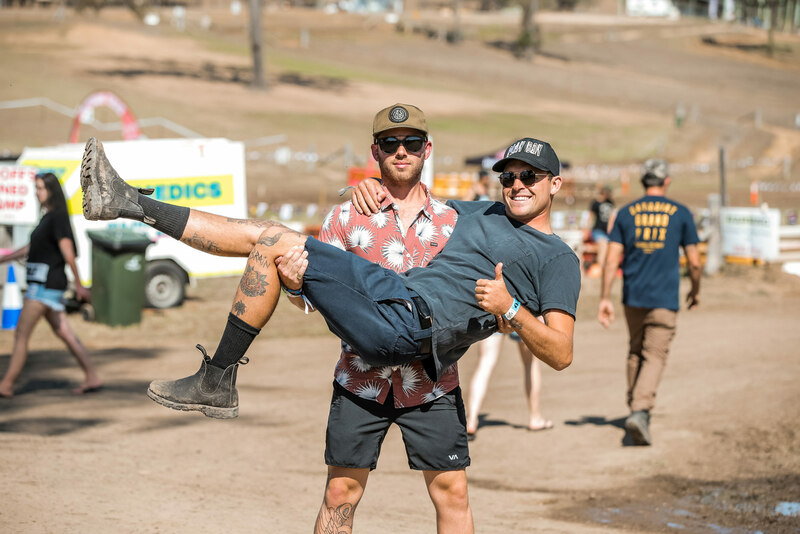 We all jumped into action, packed him in an ambulance and boogied to the hospital. 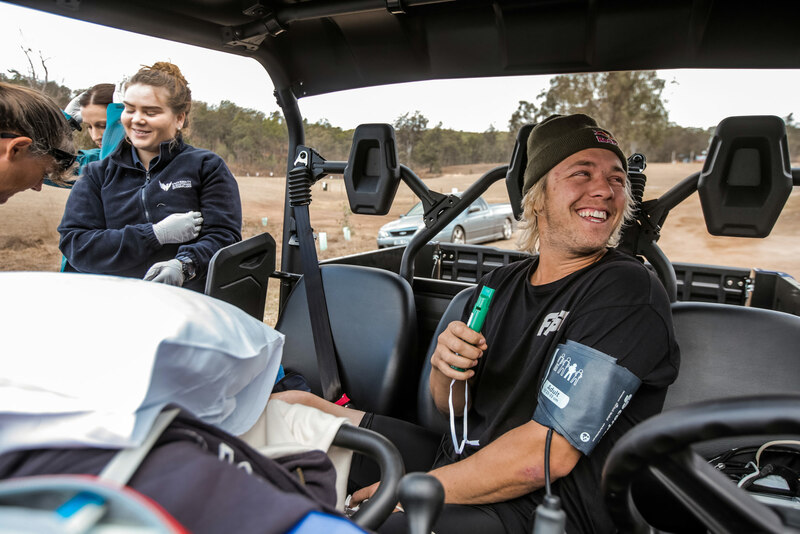 Simon, made a few calls and we were met by Ben from Red Bull who took control of the situation and got Tyler the best care down under. 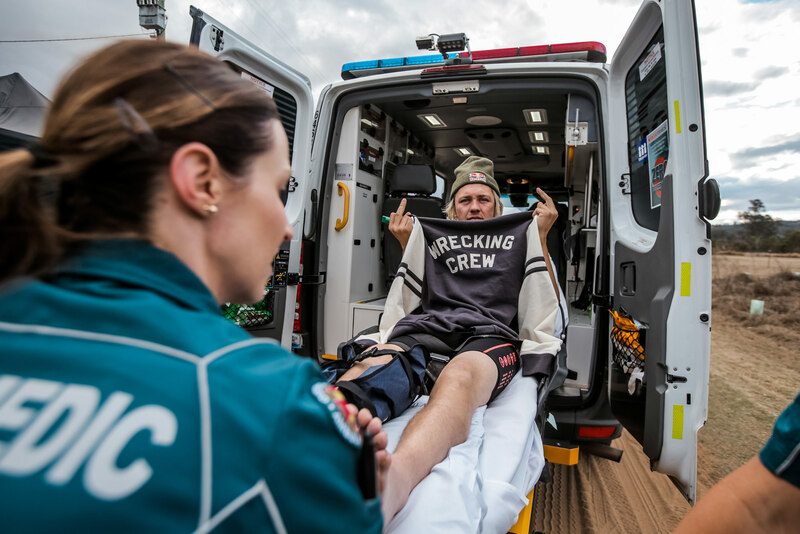 Steve Shearer then flew in to coordinate his recovery care. 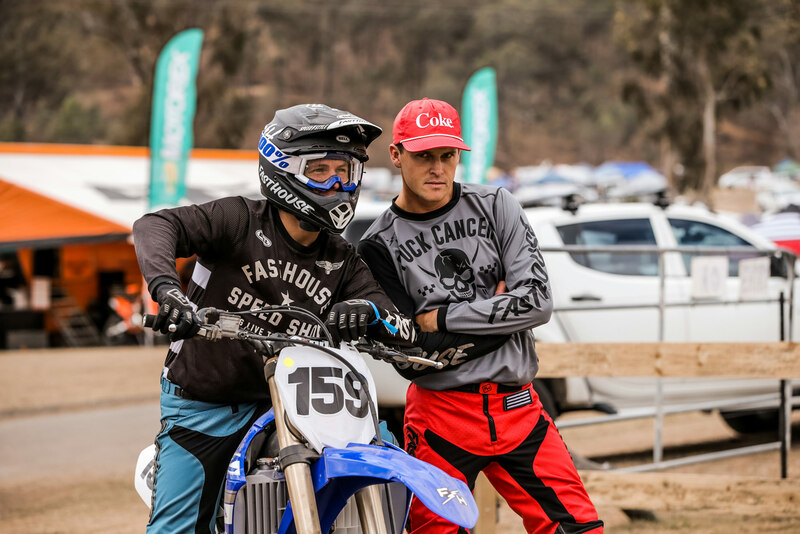 With Tyler in good hands we went back to doing what we do best, riding dirt bikes. 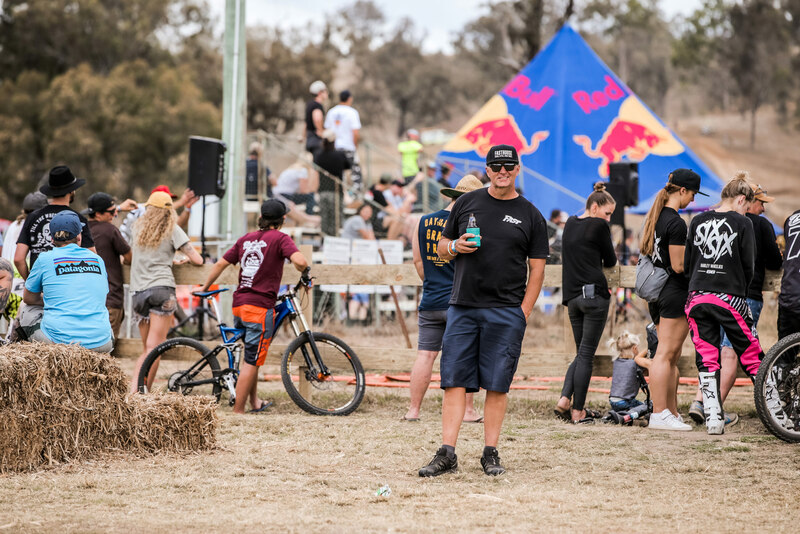 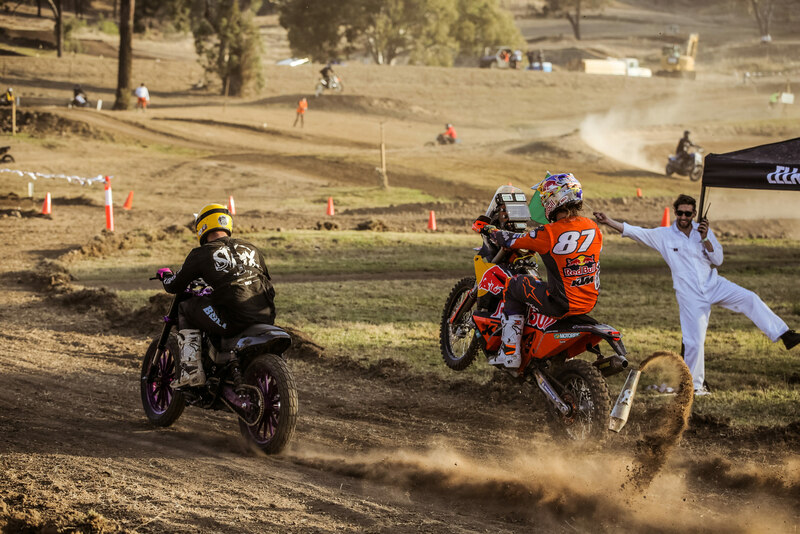 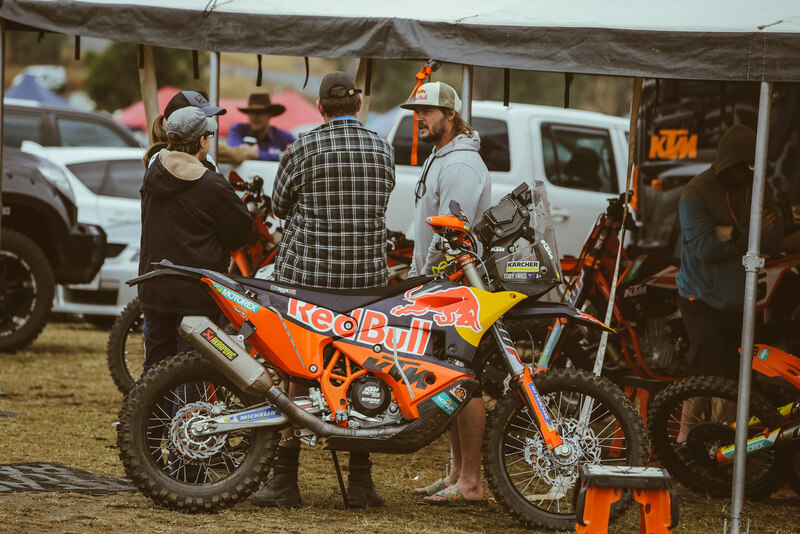 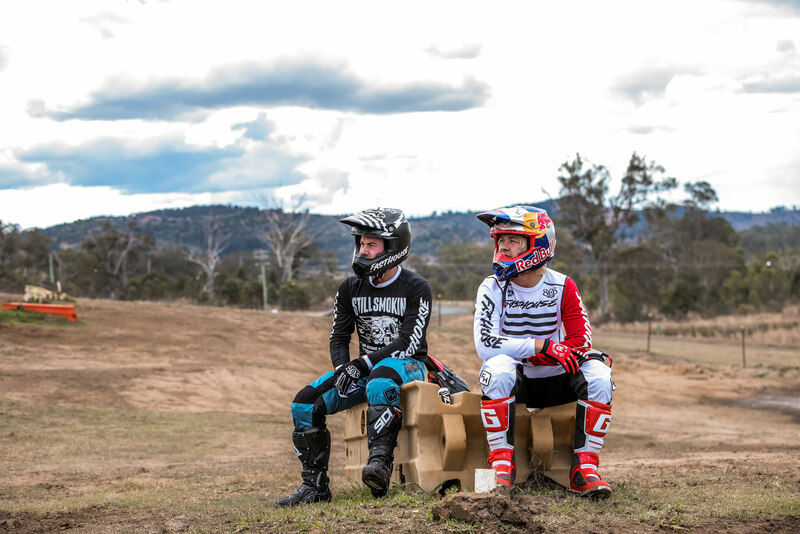 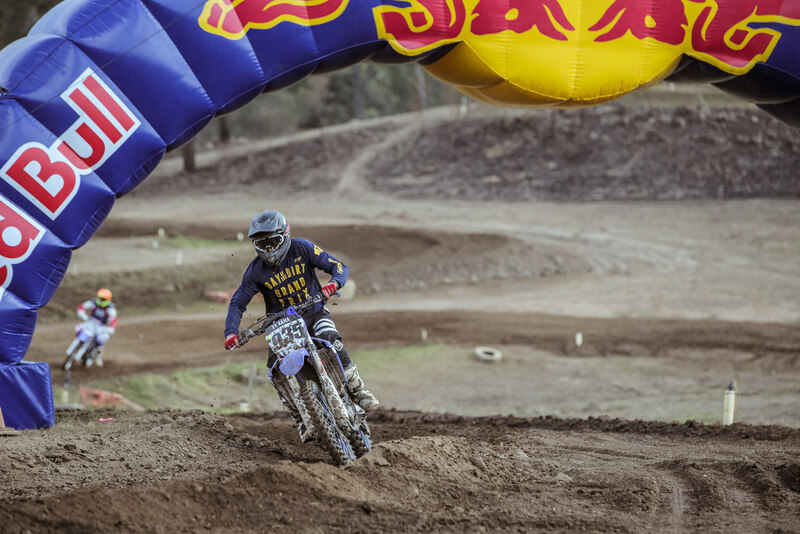 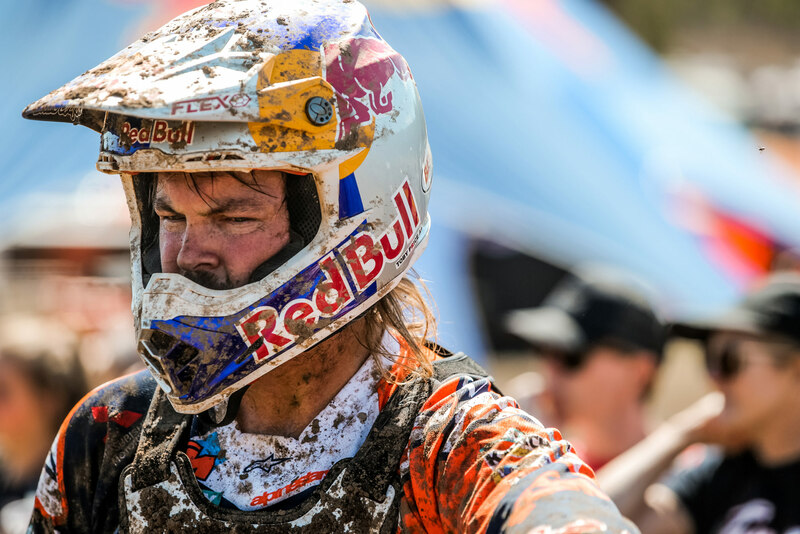 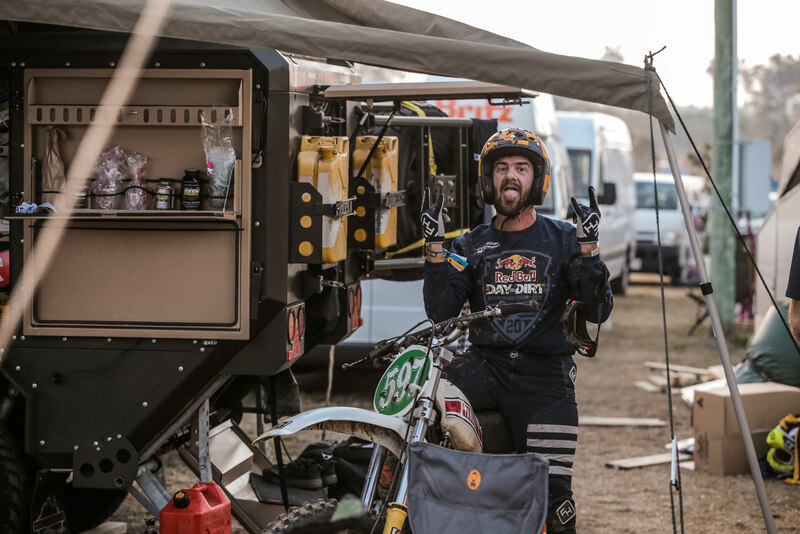 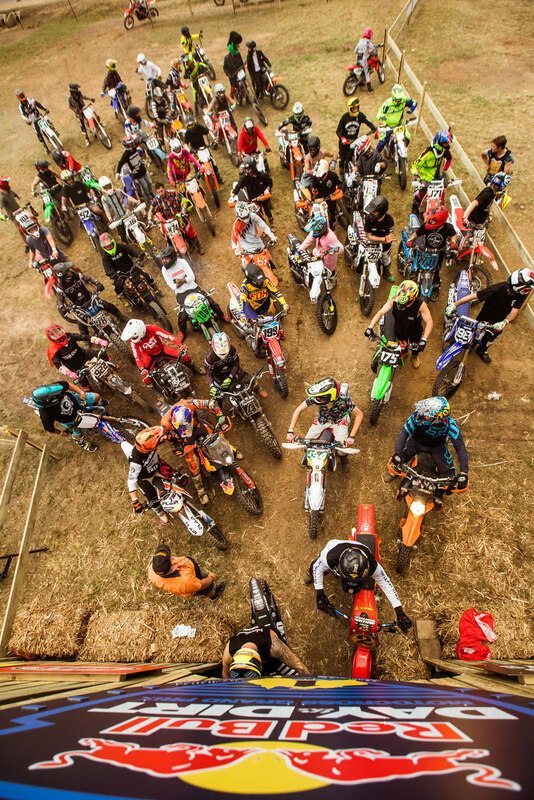 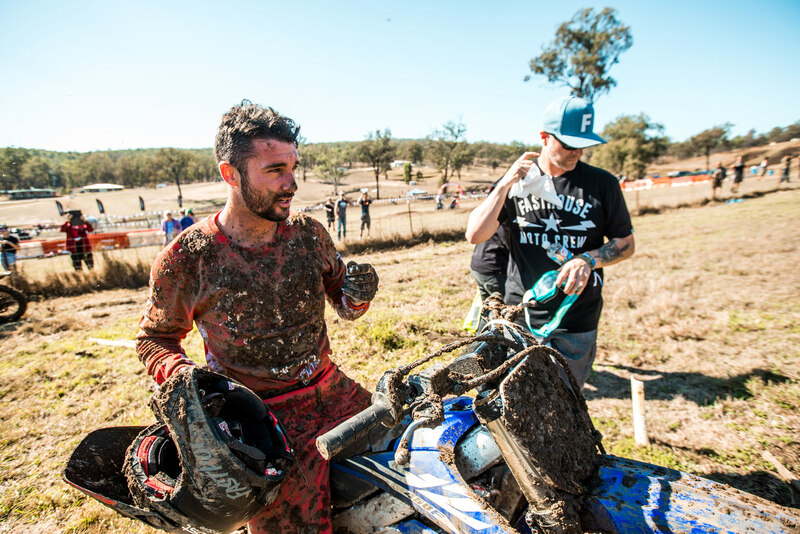 The first Red Bull DITD Down Under turned out to be an extraordinary event. 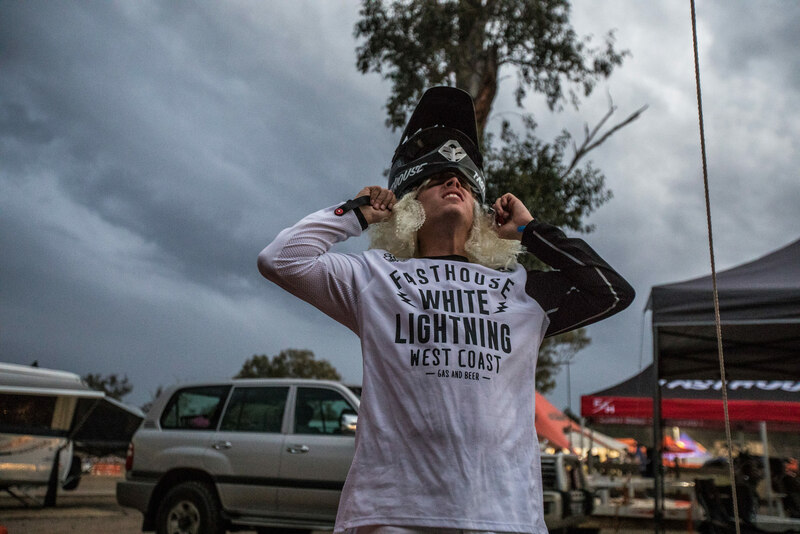 It had everything, sun, rain, music, drag races, and the Dust Hustle mates put on a good show. 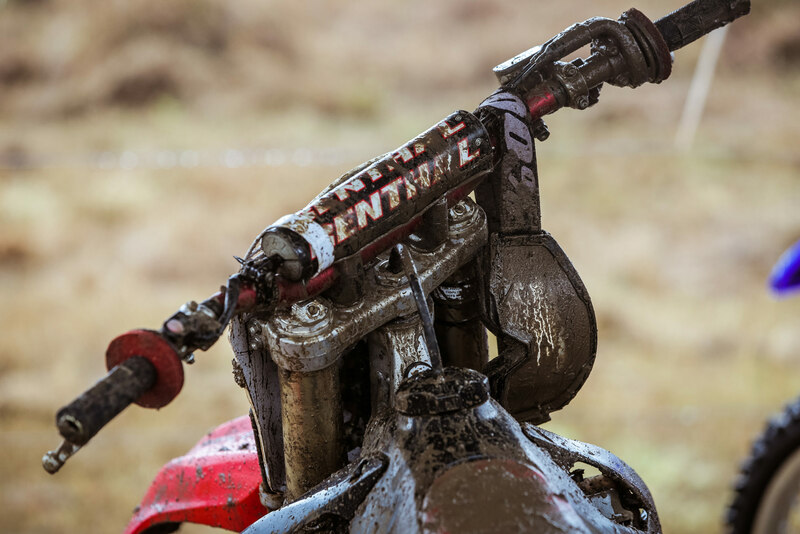 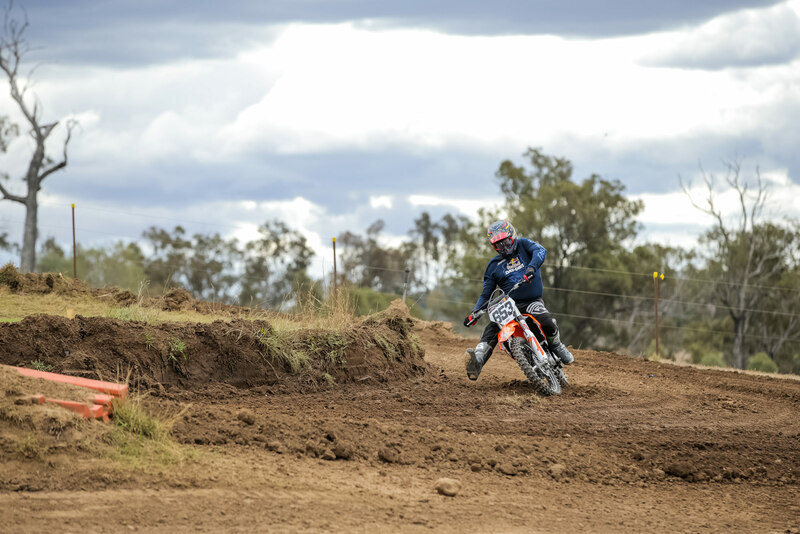 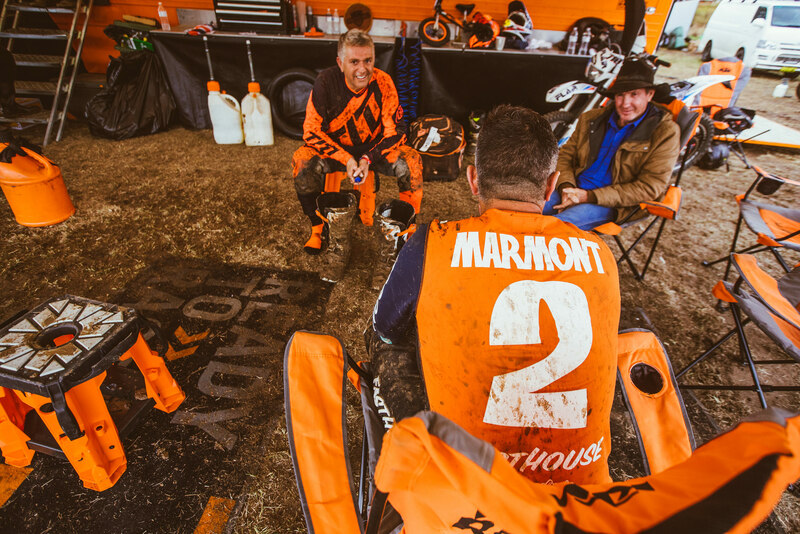 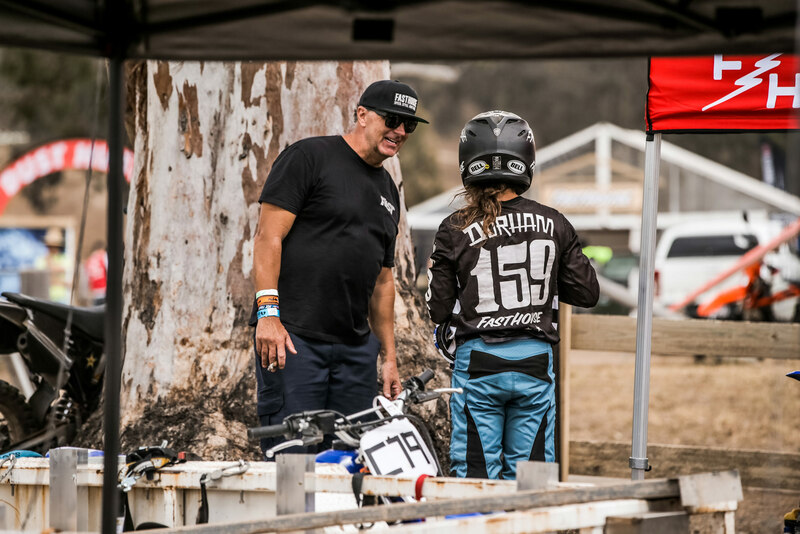 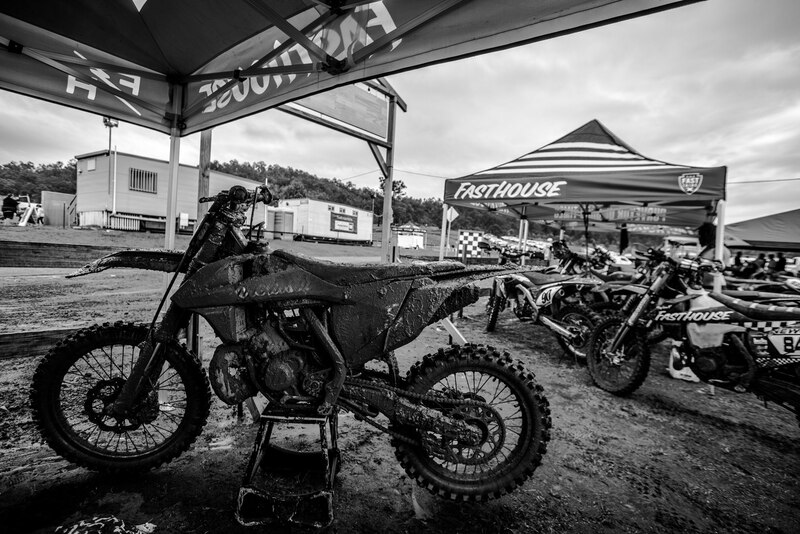 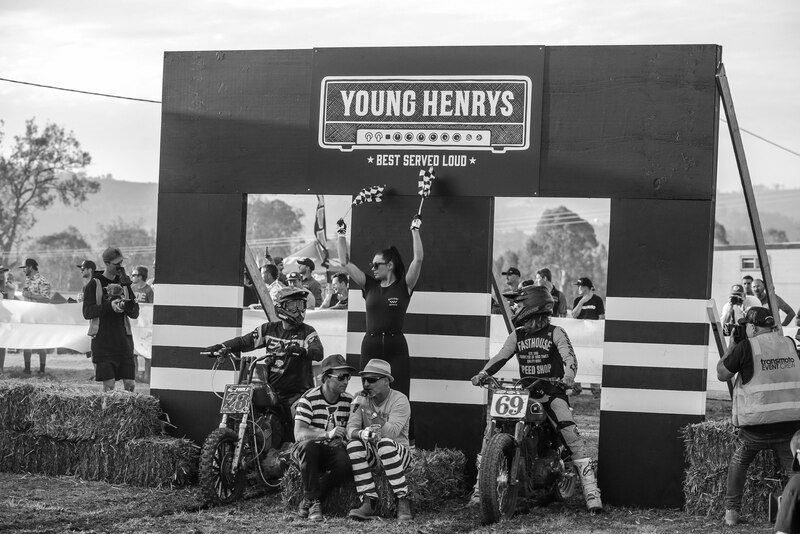 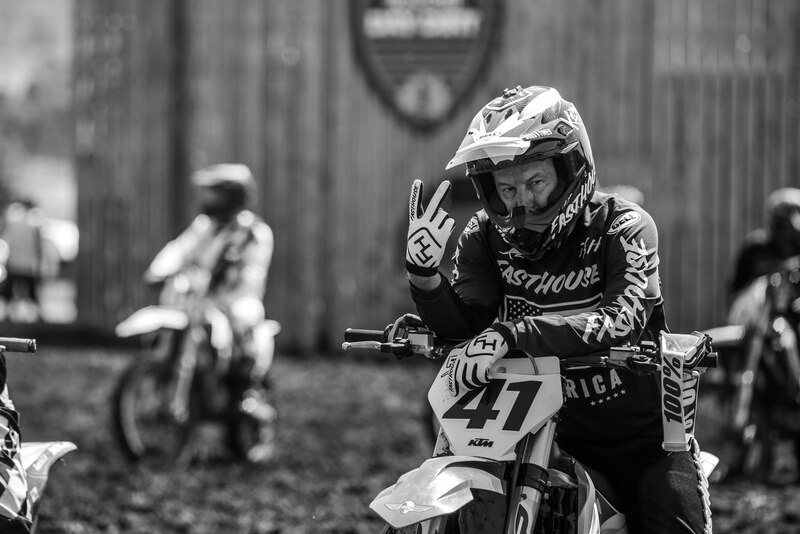 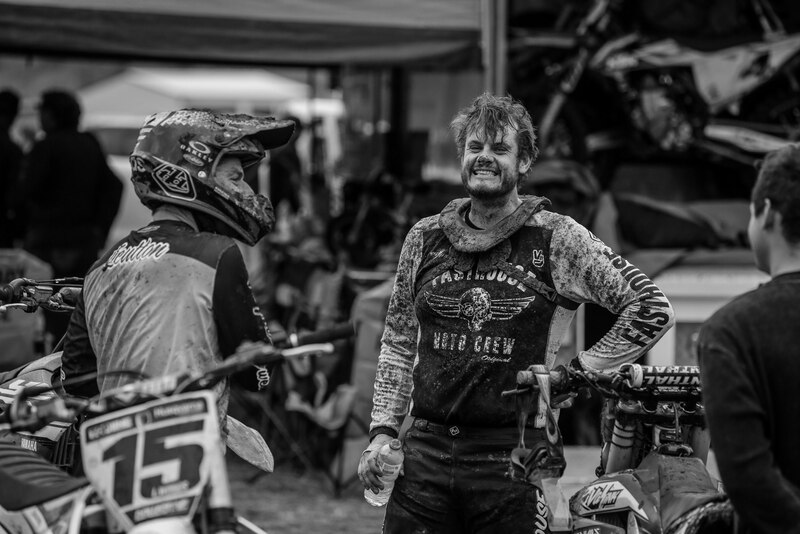 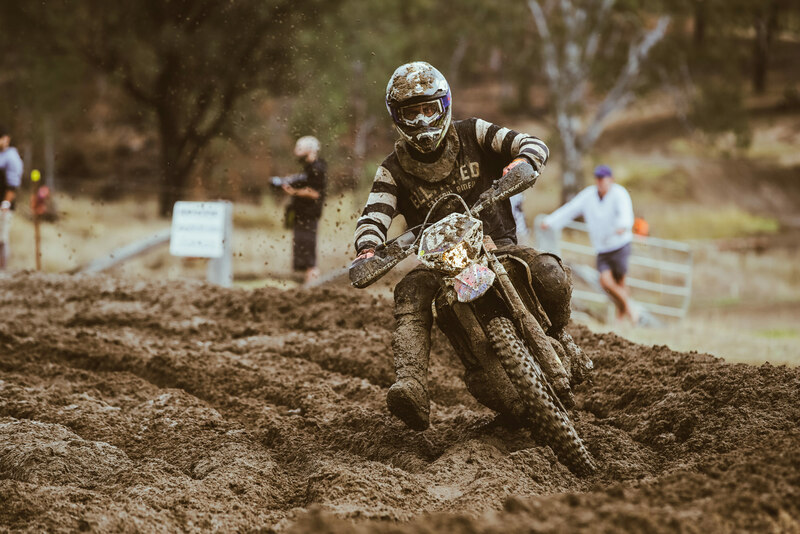 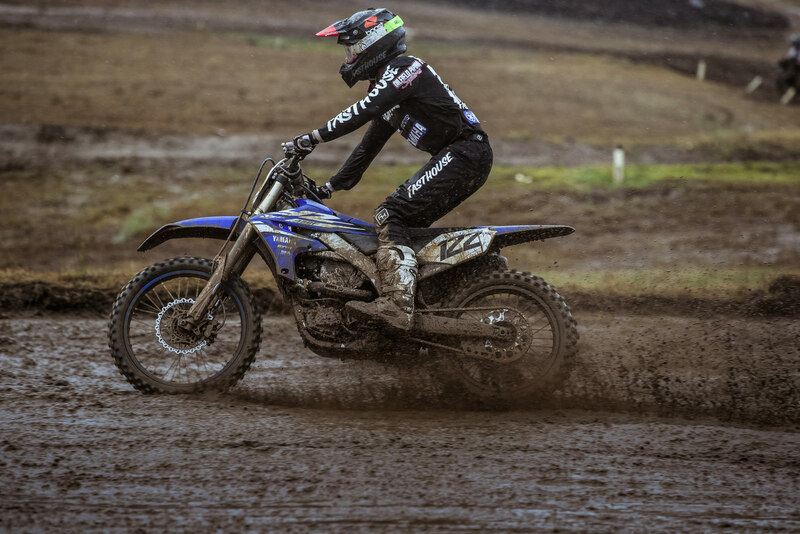 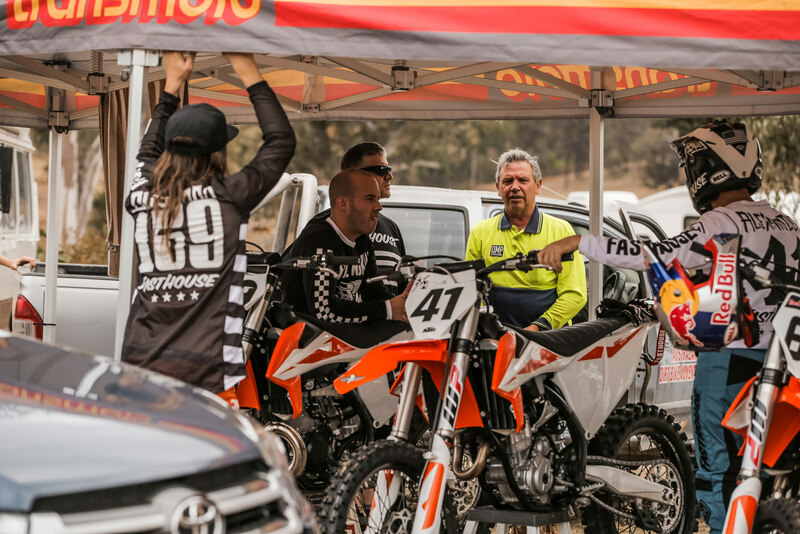 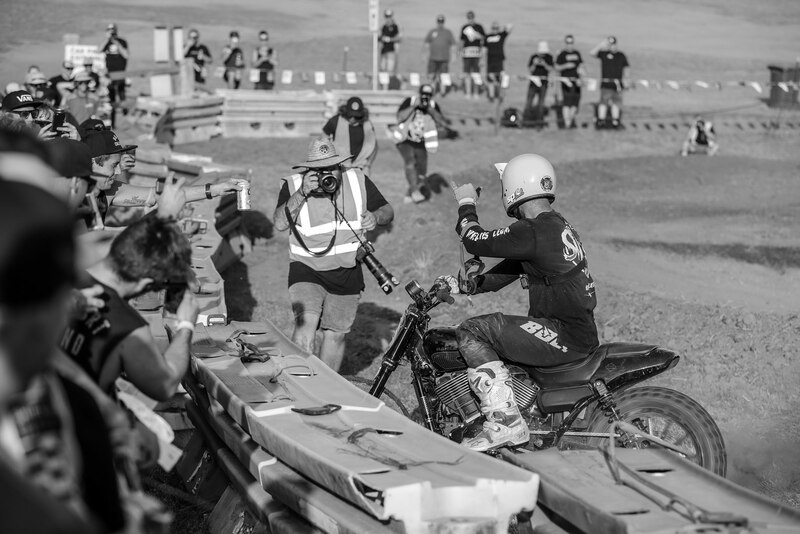 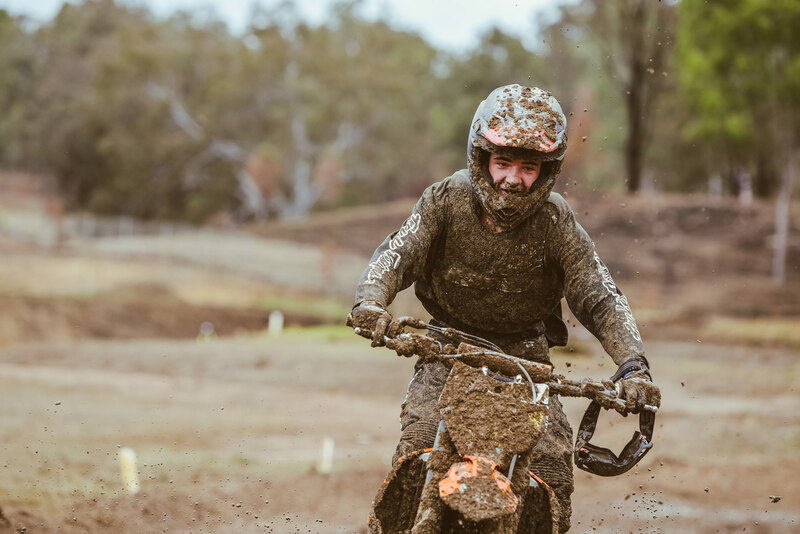 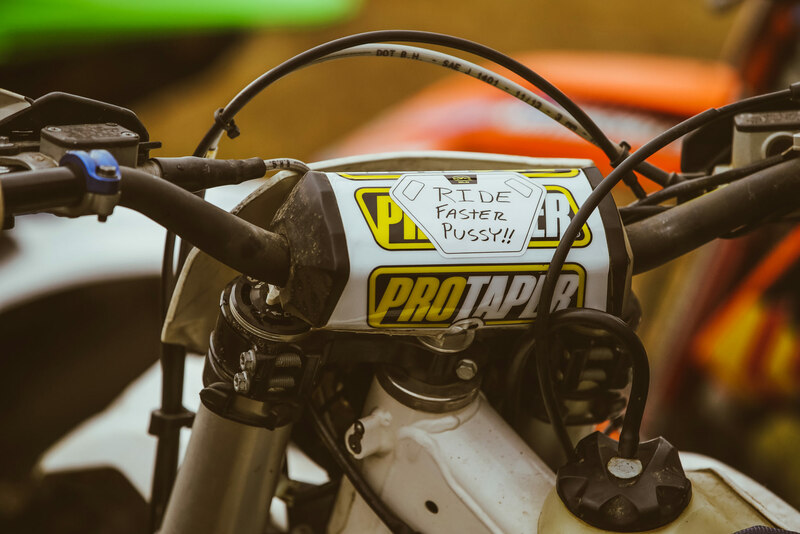 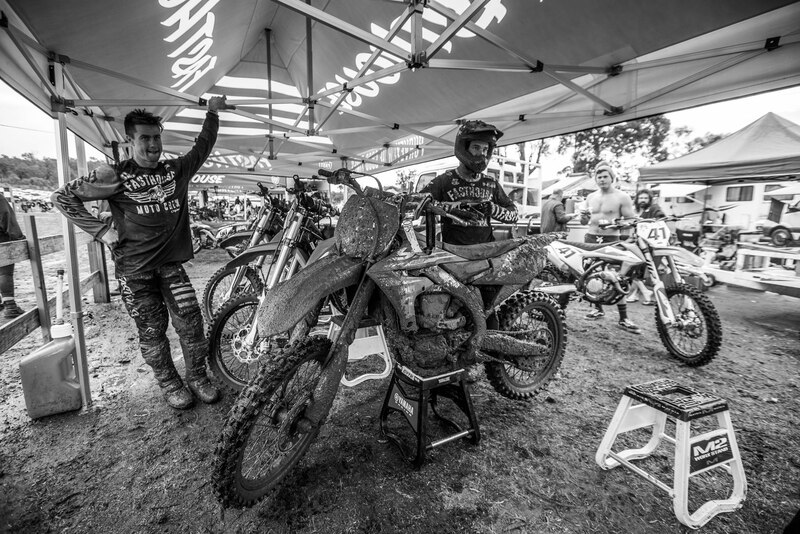 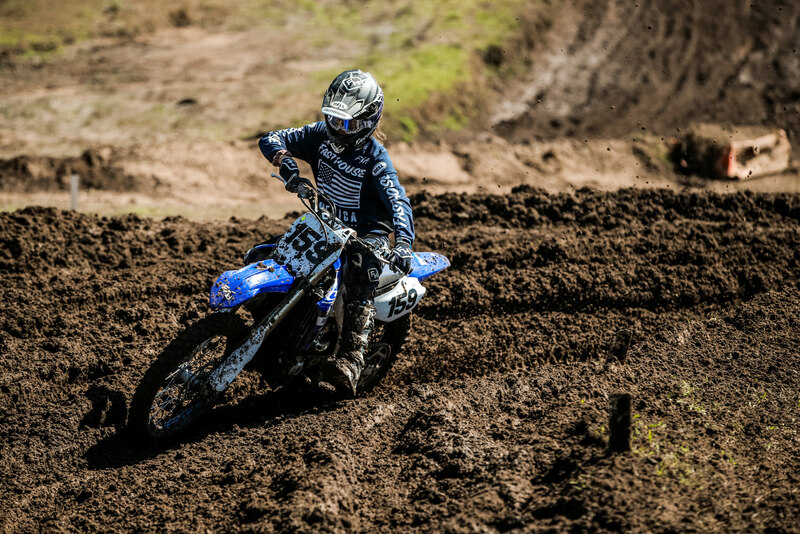 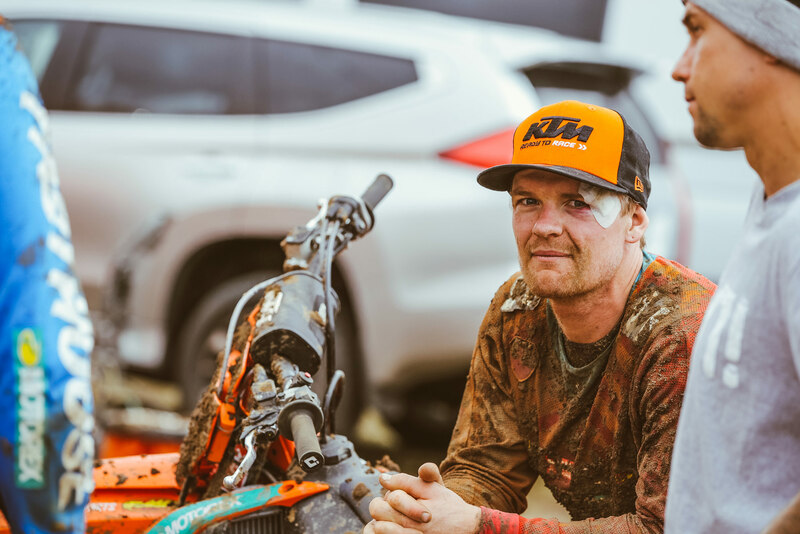 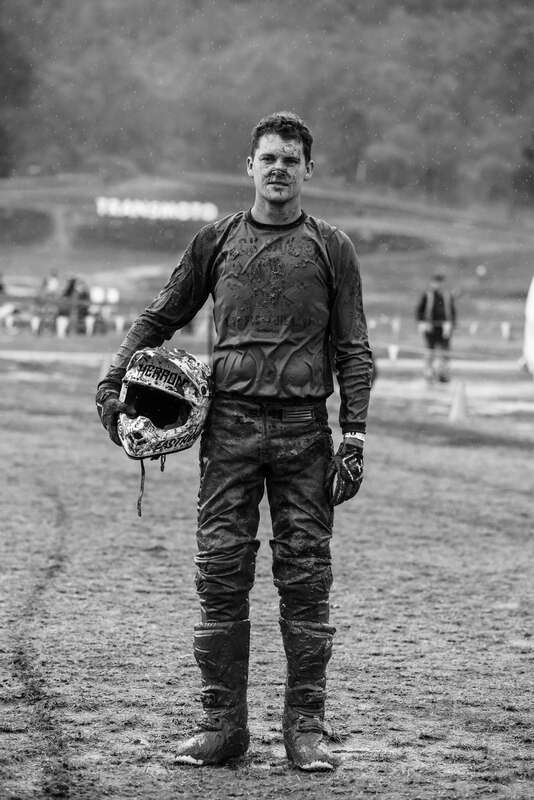 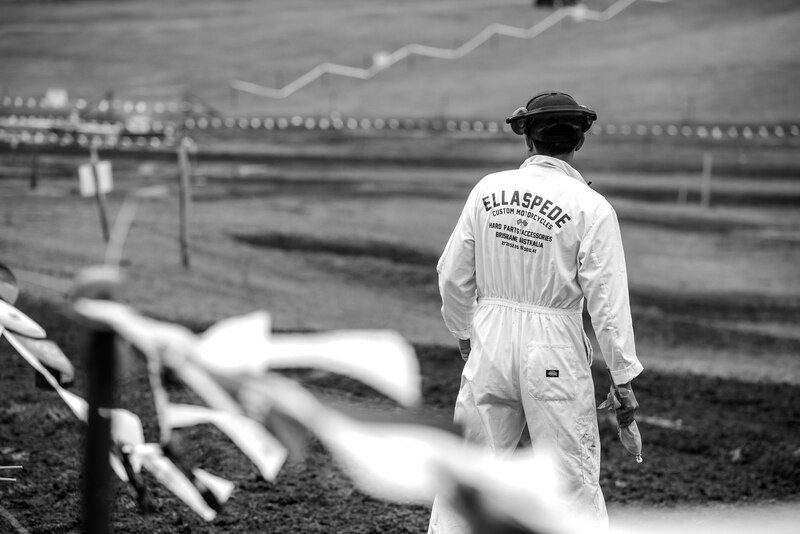 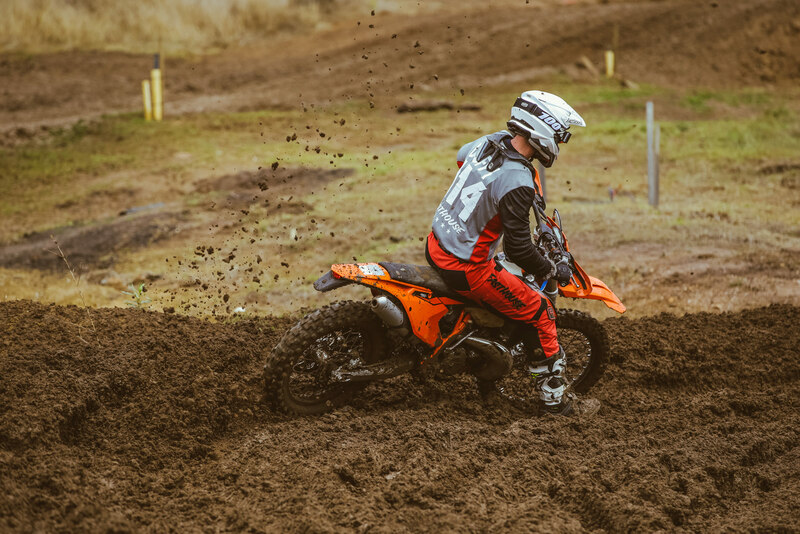 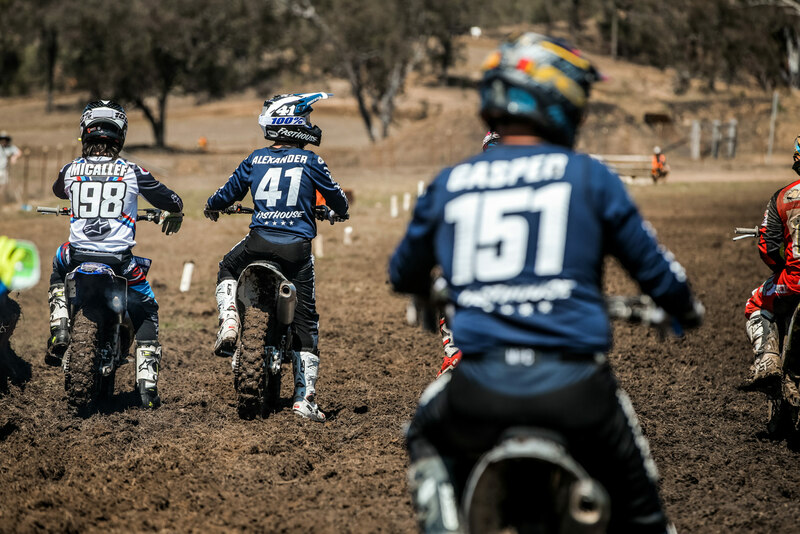 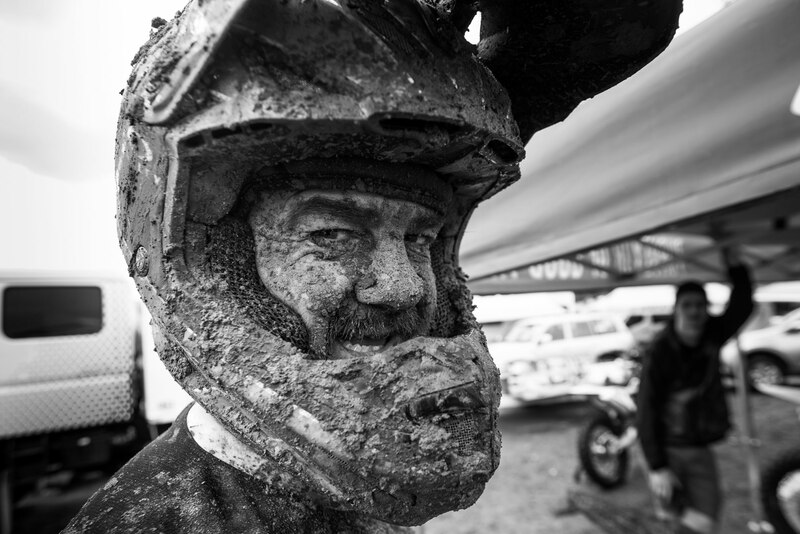 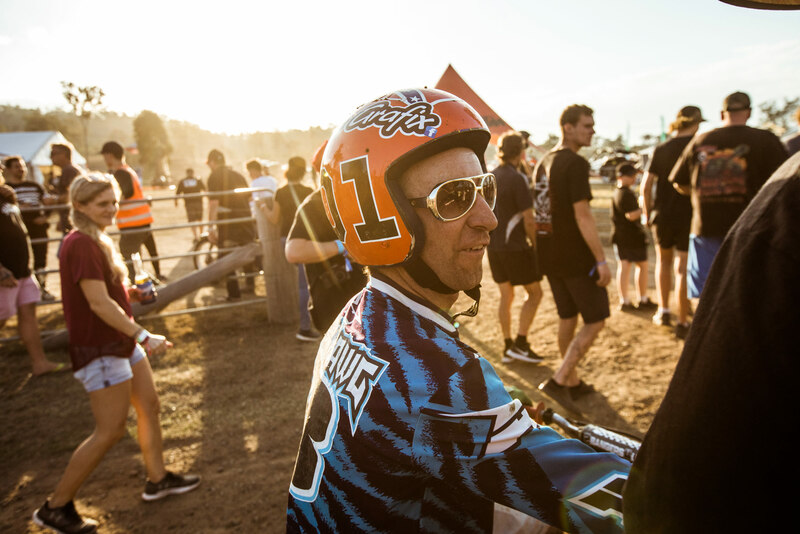 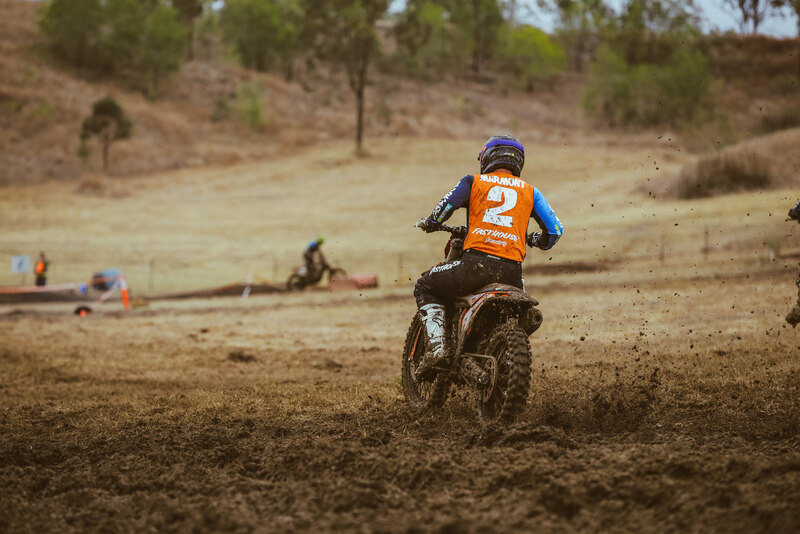 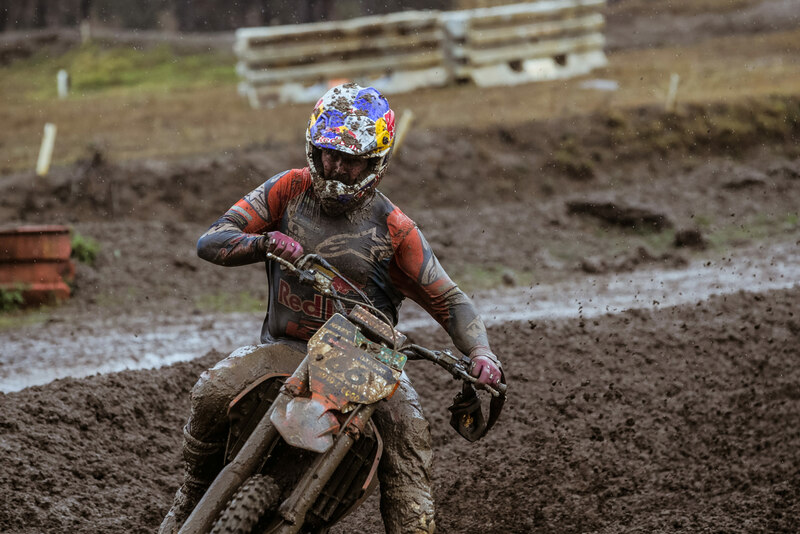 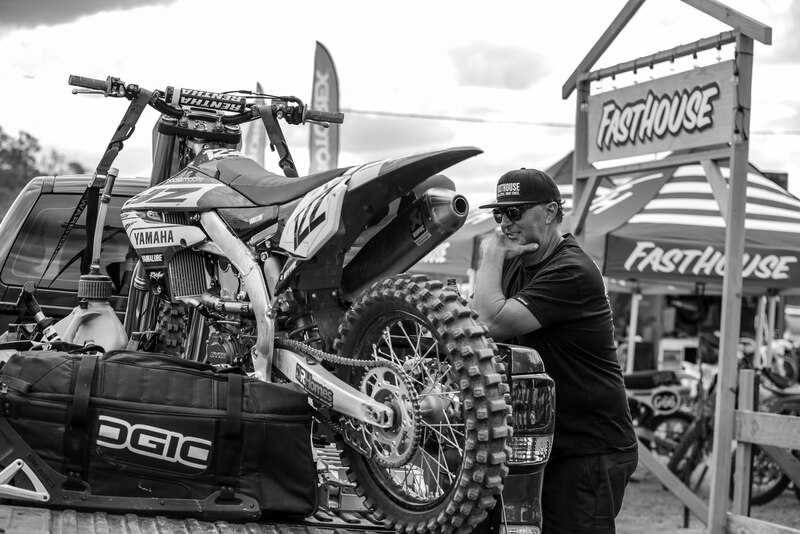 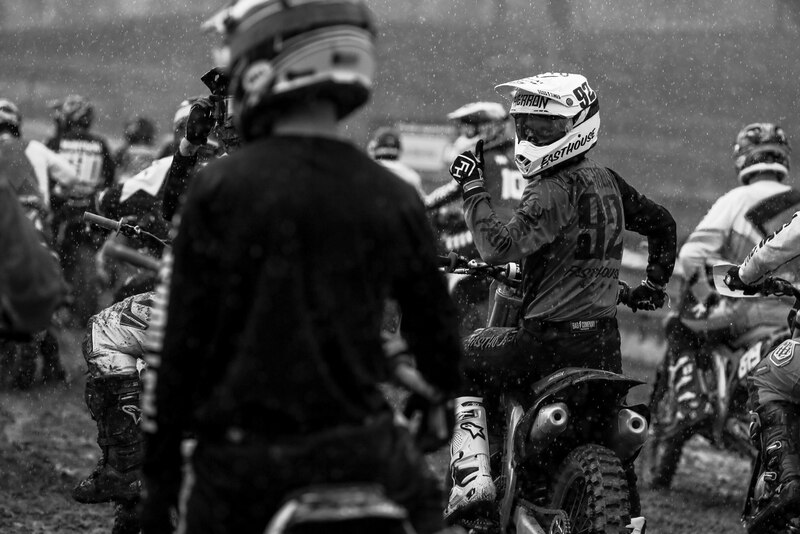 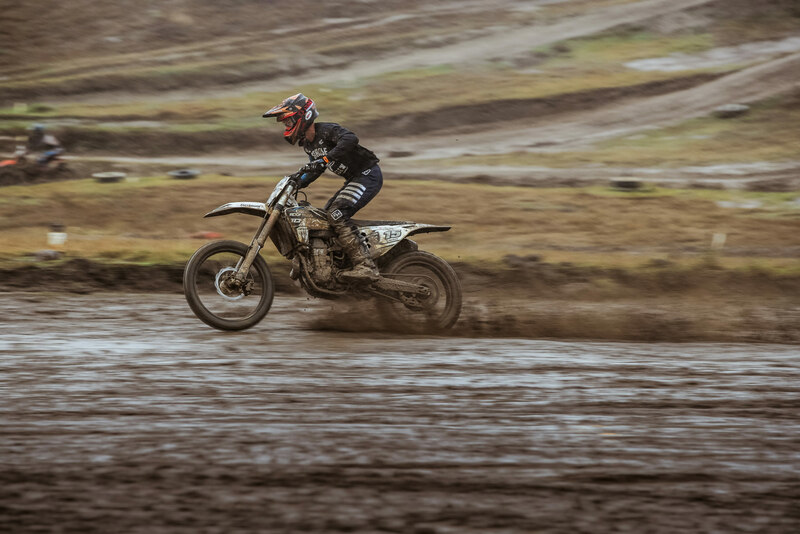 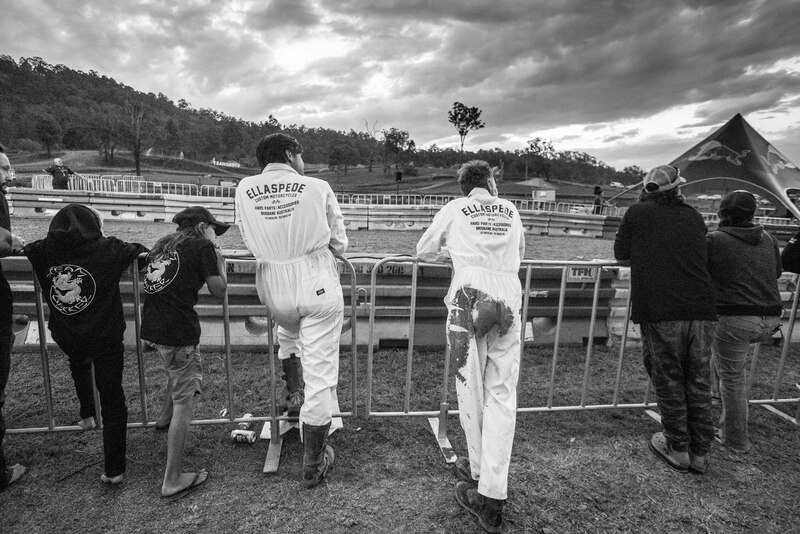 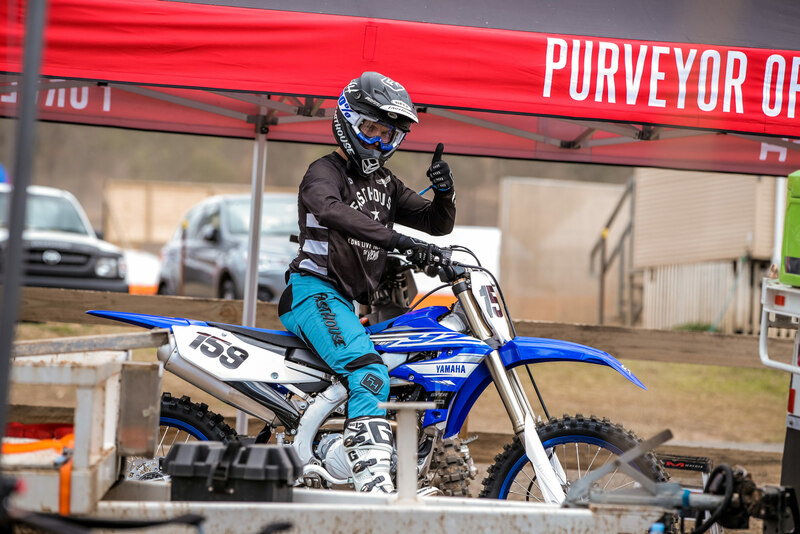 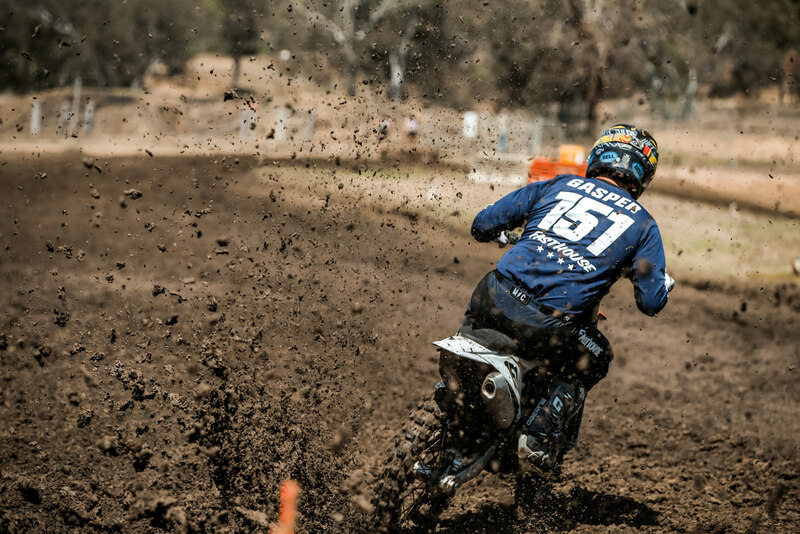 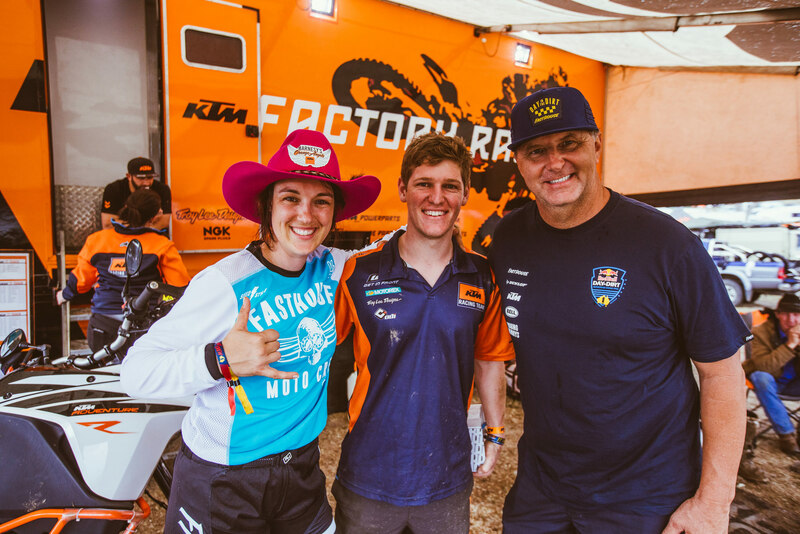 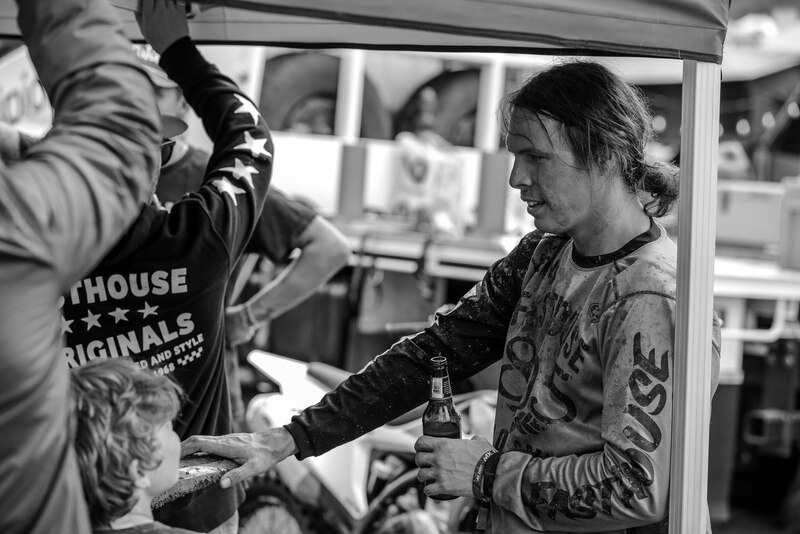 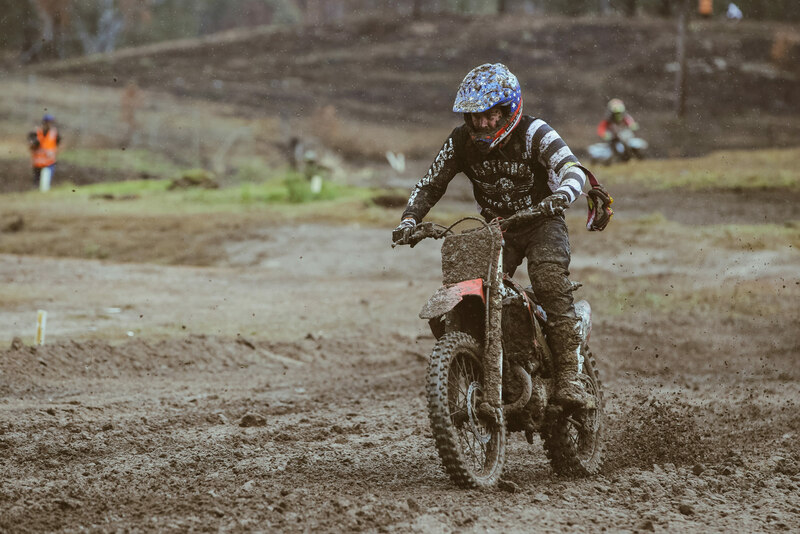 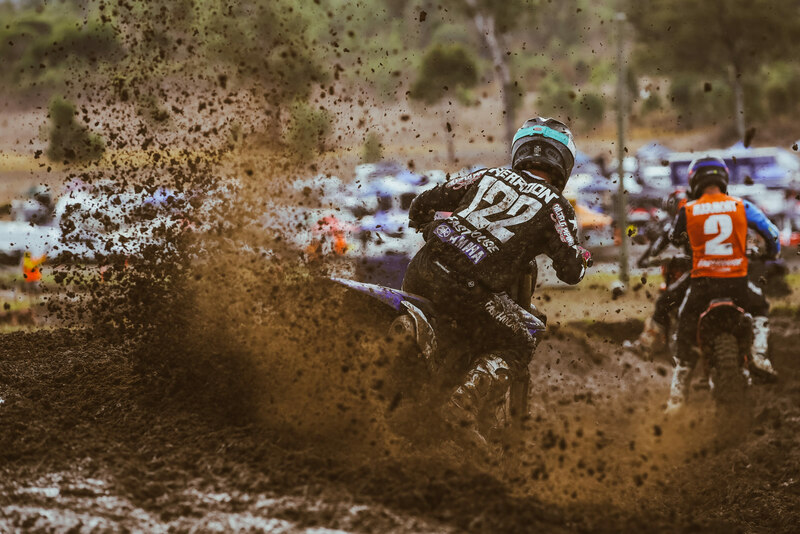 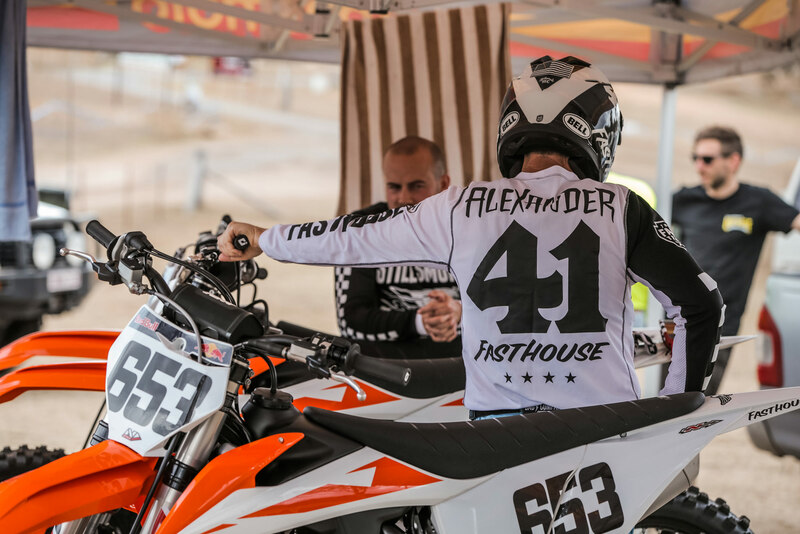 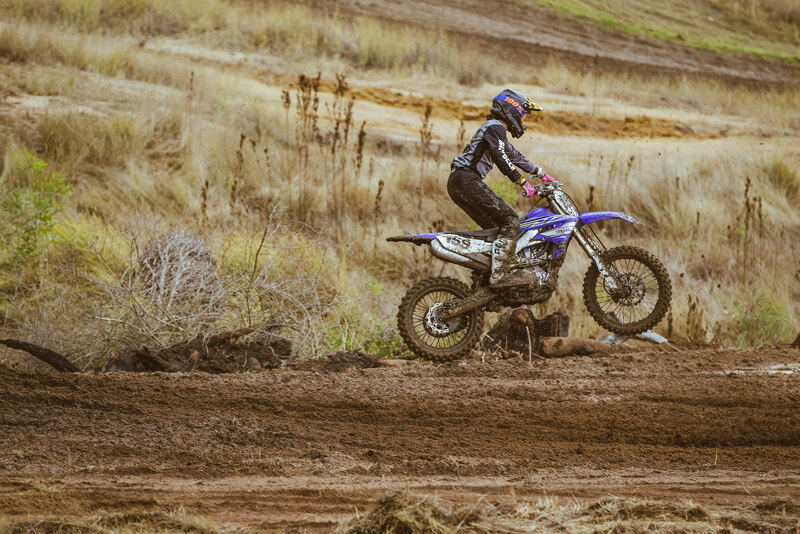 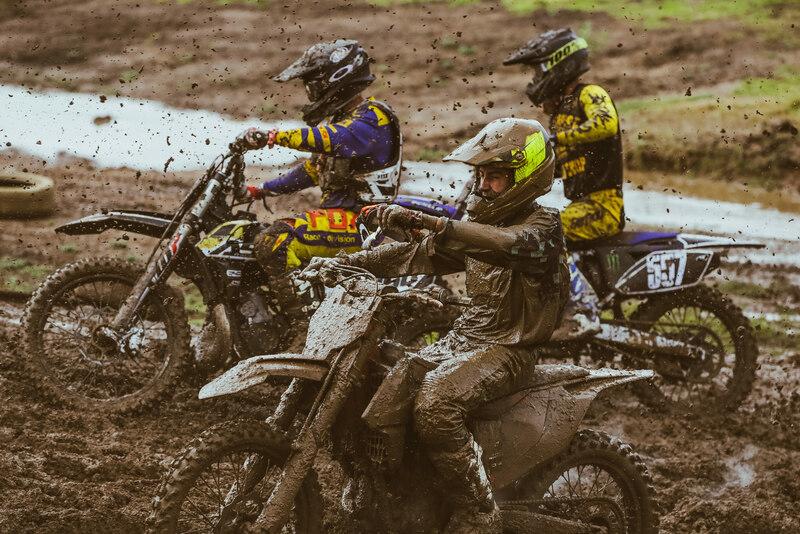 There were three days of non-stop racing, with 700 racers and their family and friends, some of the classes had 150 riders on the track – just like we do it here at home. 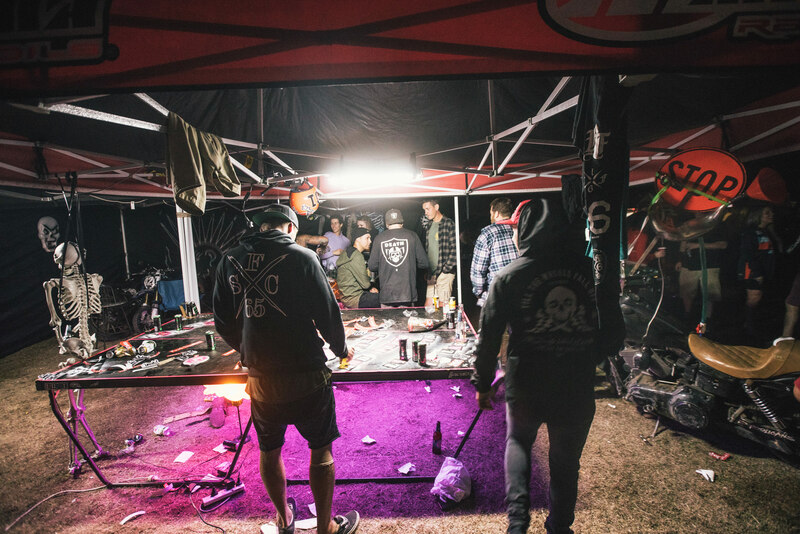 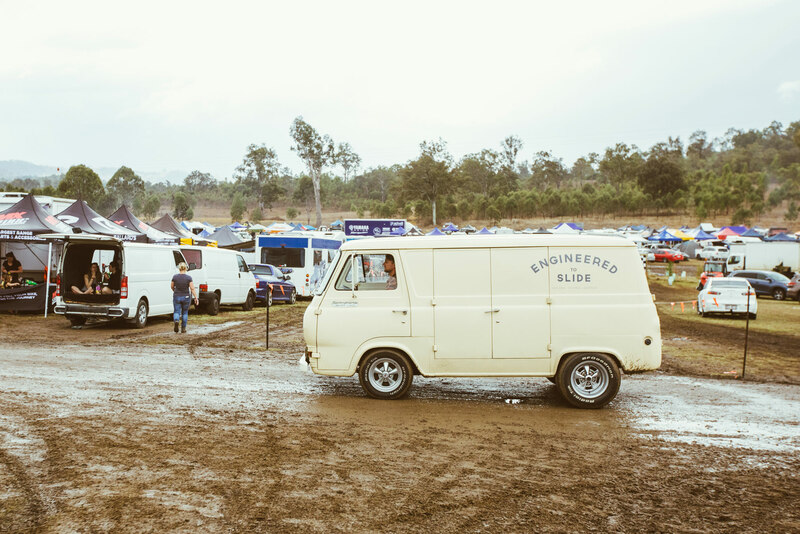 The beer was cold and the camping was crazy – these folks really know how to have a good time. 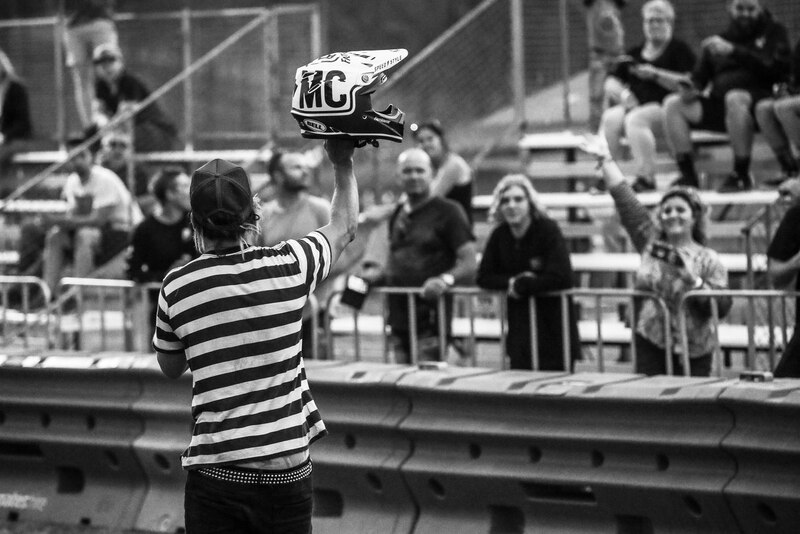 I’d like to thank 3CMG for putting on the event, and a big thanks to all the supporters. 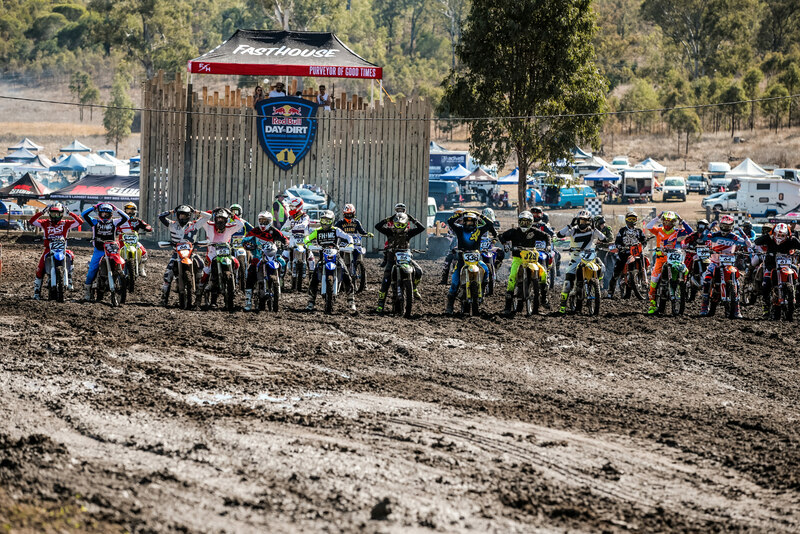 They are already looking forward to next year. 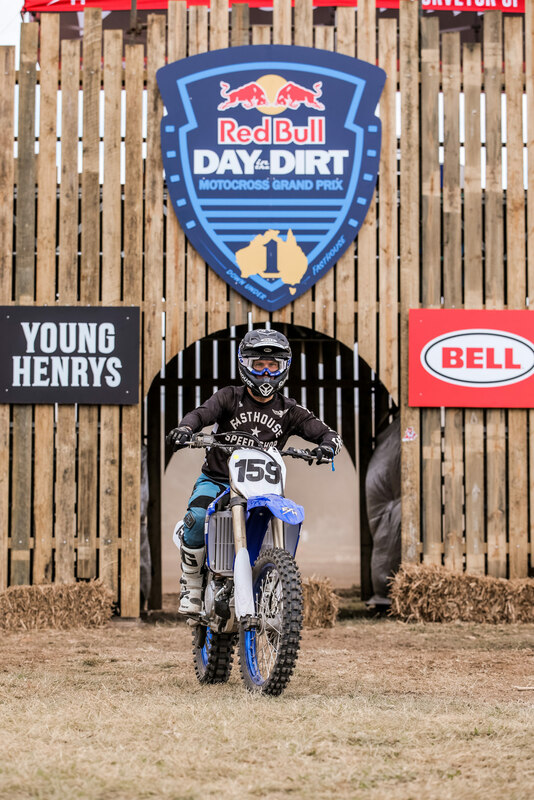 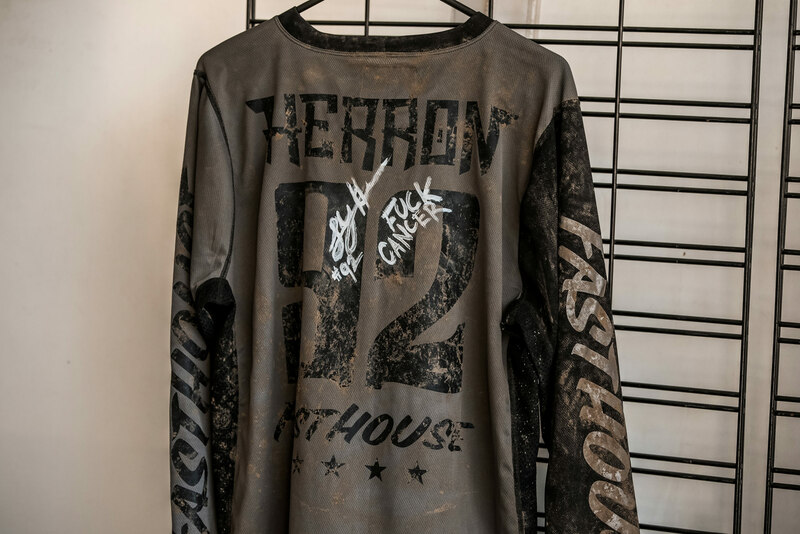 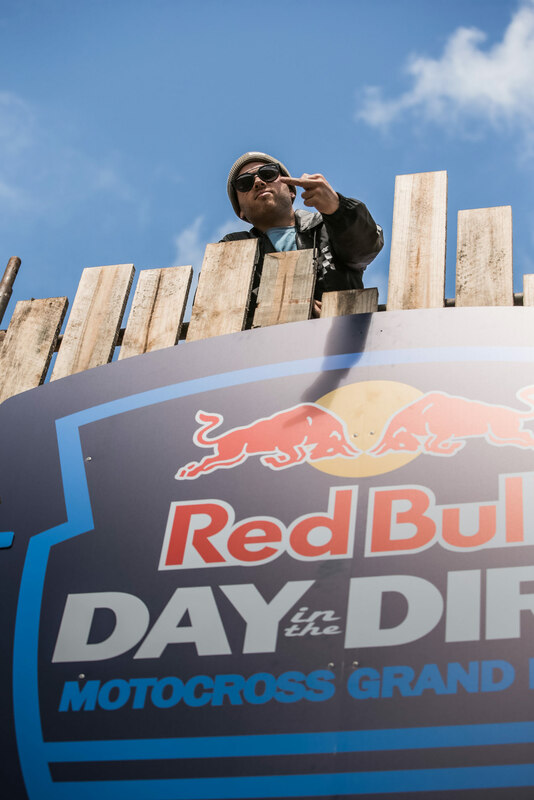 I’ll see you soon at our Red Bull Day in the Dirt #21, at Glen Helen, Thanksgiving Weekend.